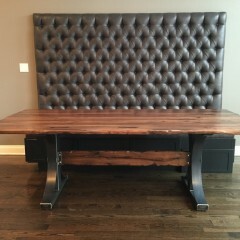 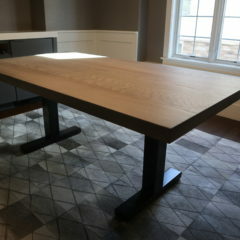 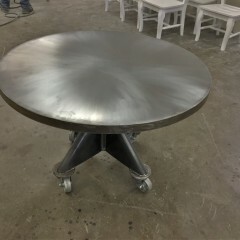 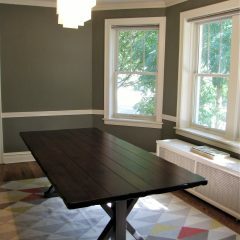 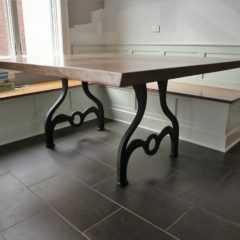 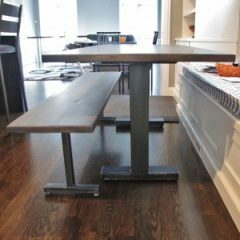 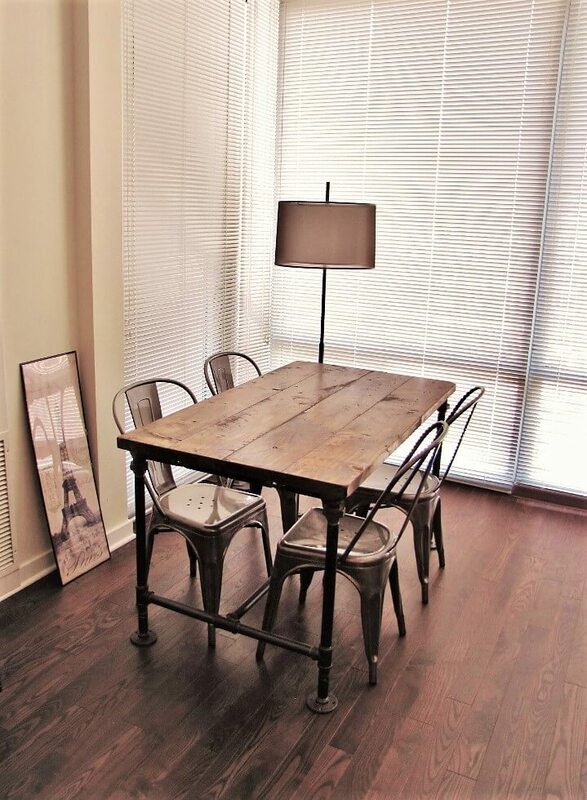 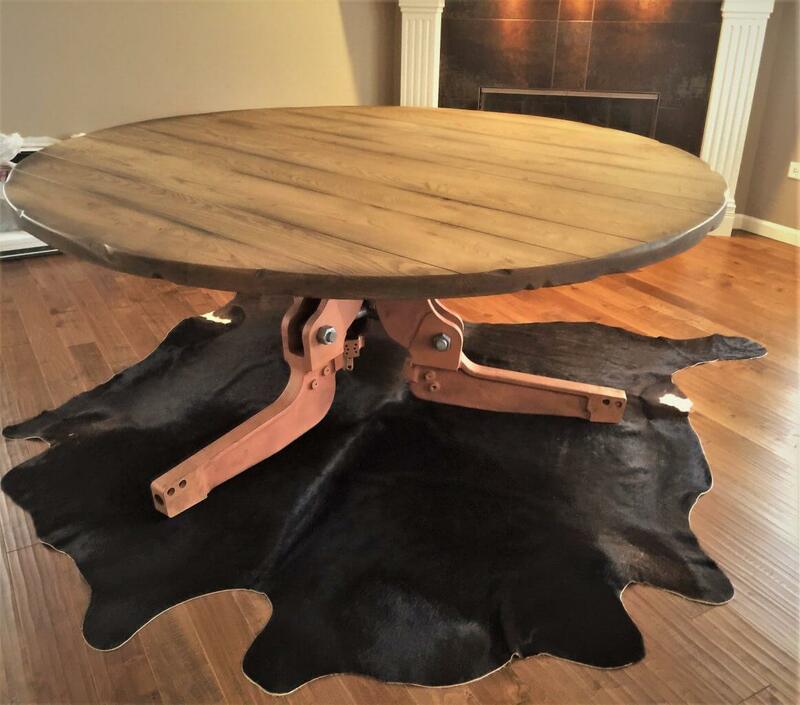 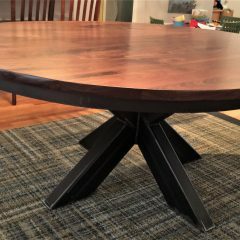 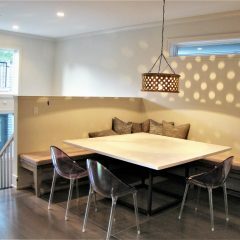 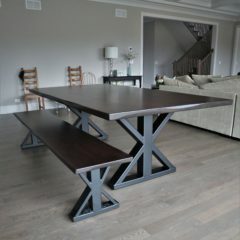 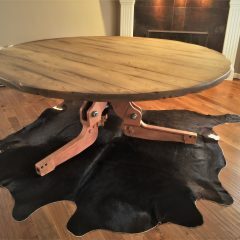 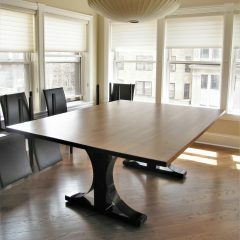 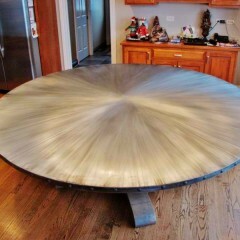 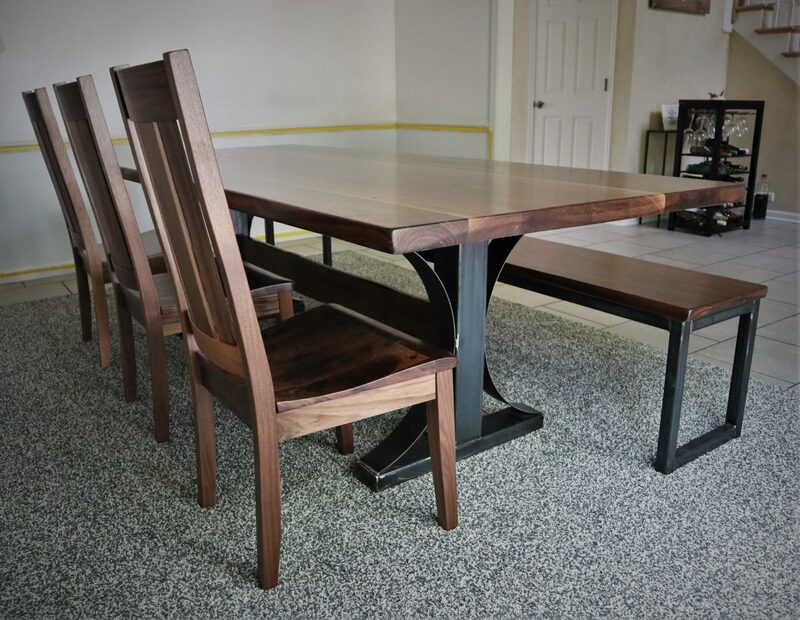 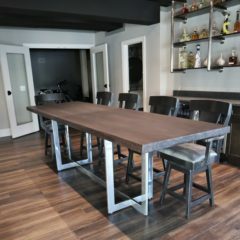 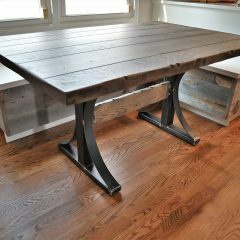 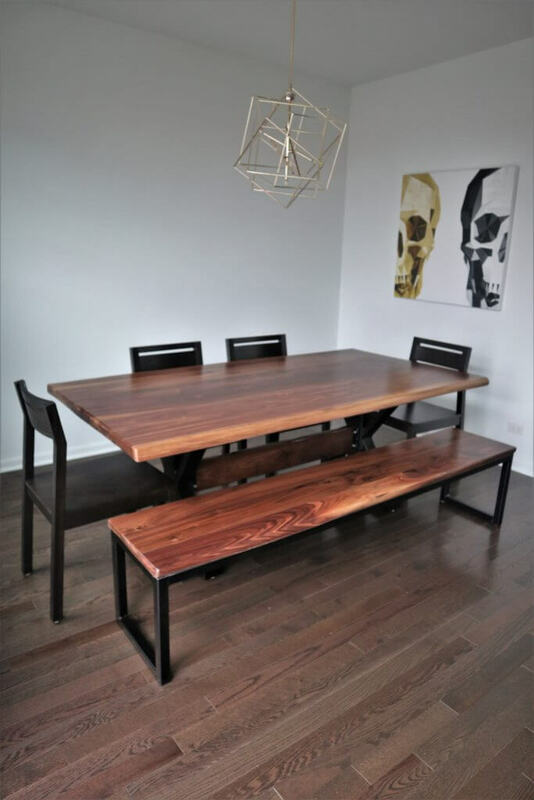 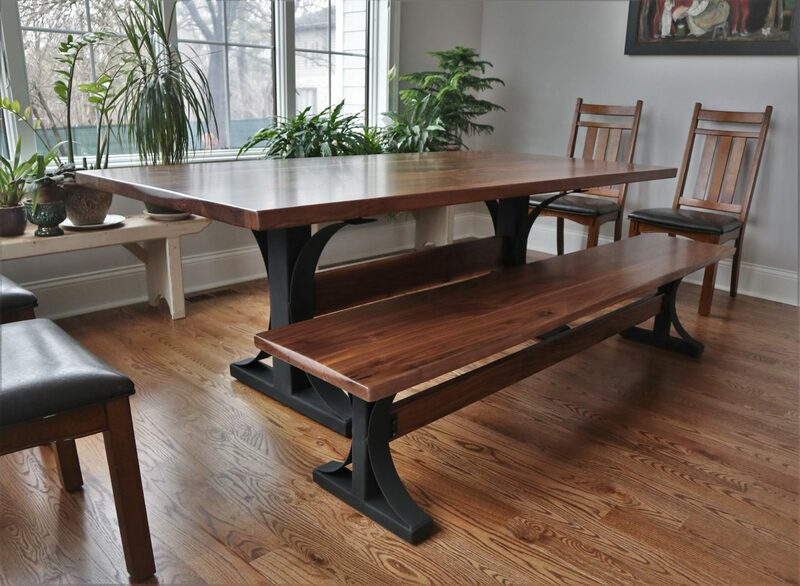 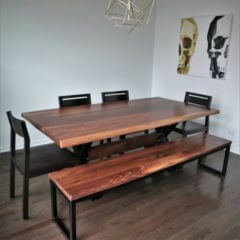 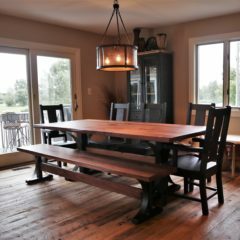 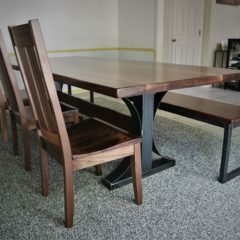 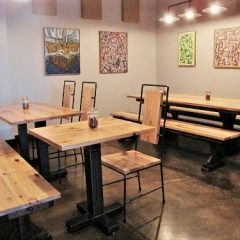 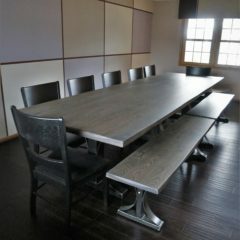 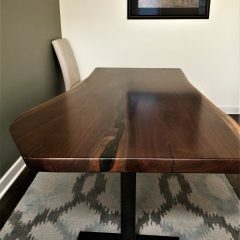 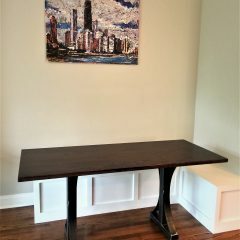 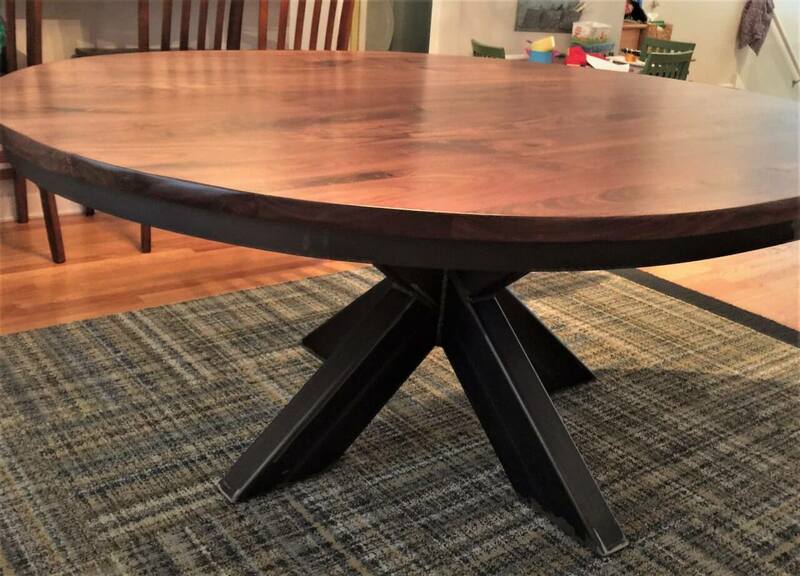 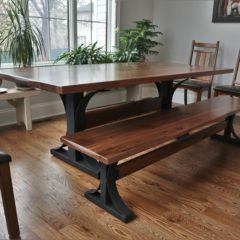 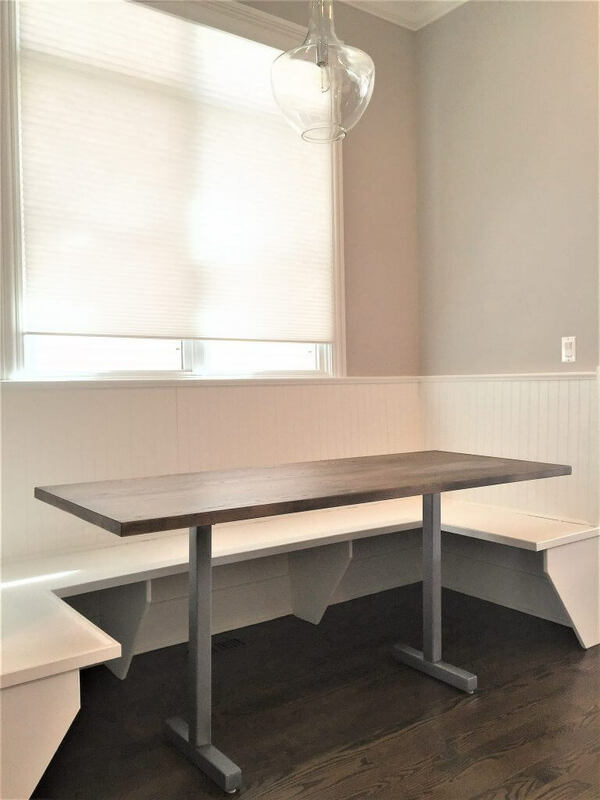 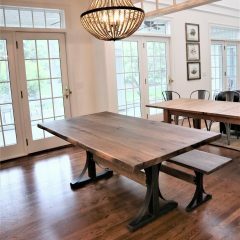 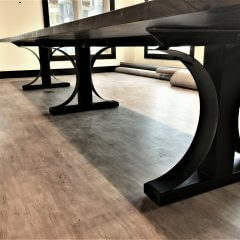 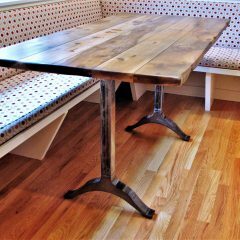 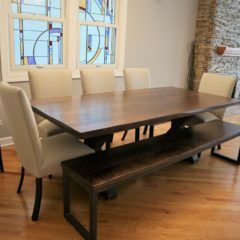 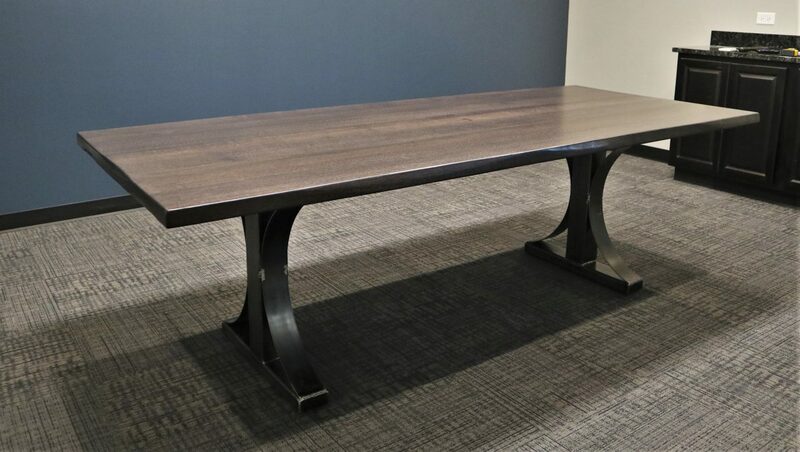 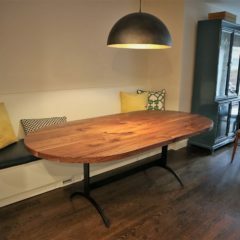 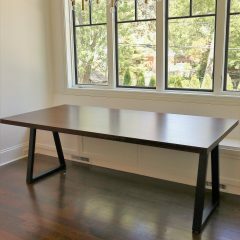 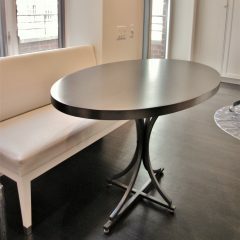 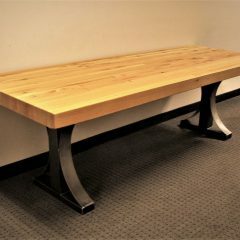 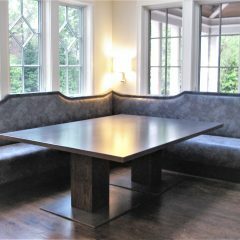 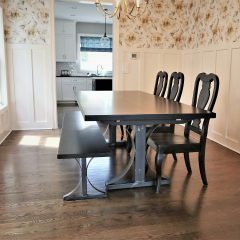 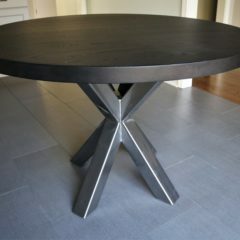 Our metal base tables are a unique alternative to the standard table. 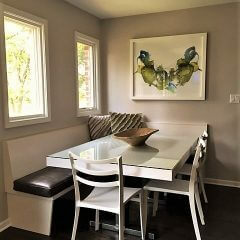 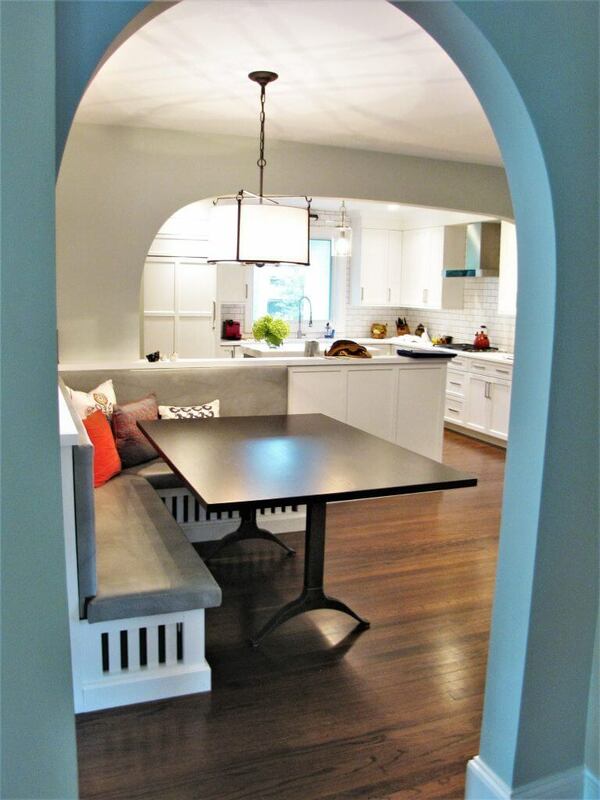 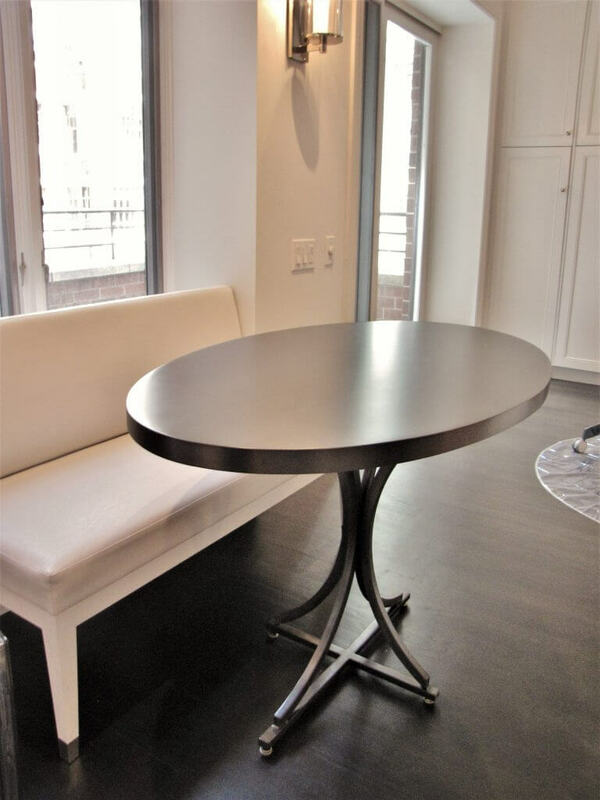 The style can give your standard space a more modern, fun, and eclectic feel. 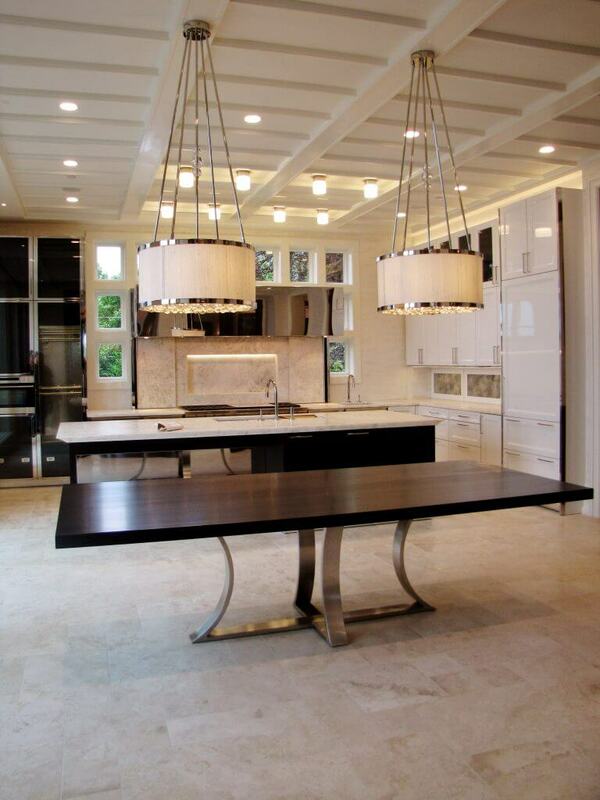 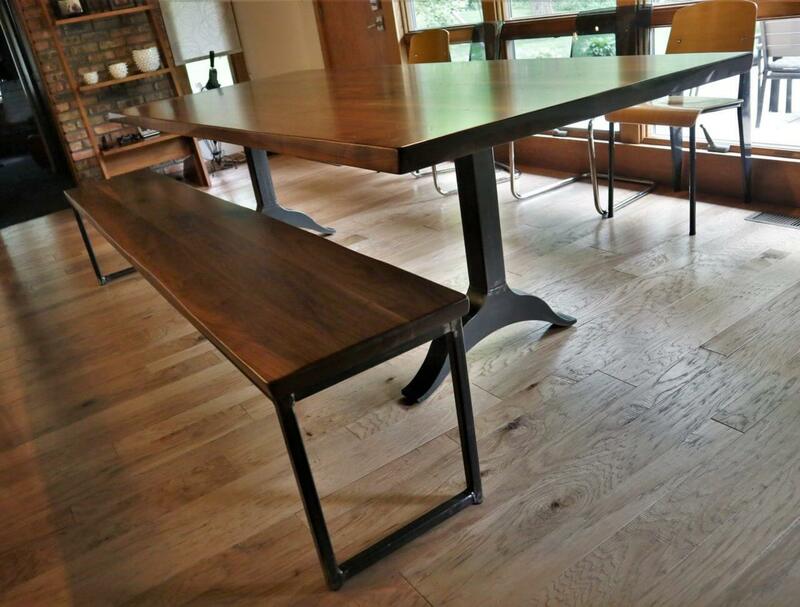 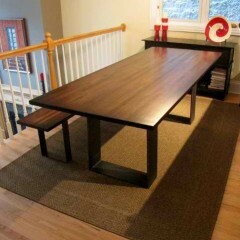 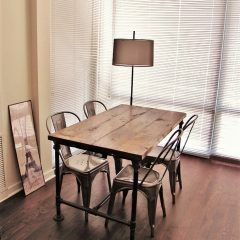 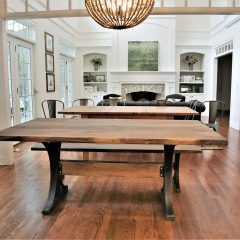 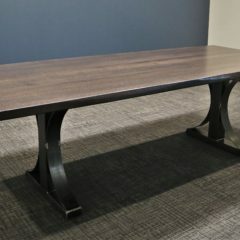 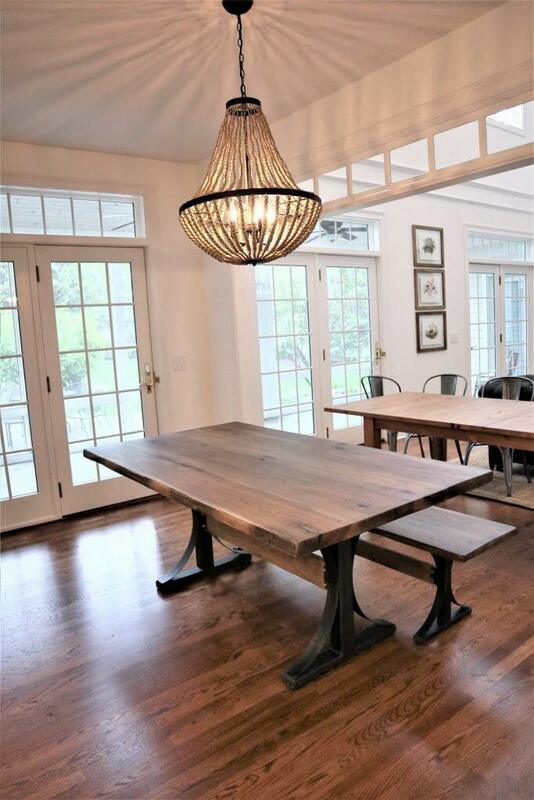 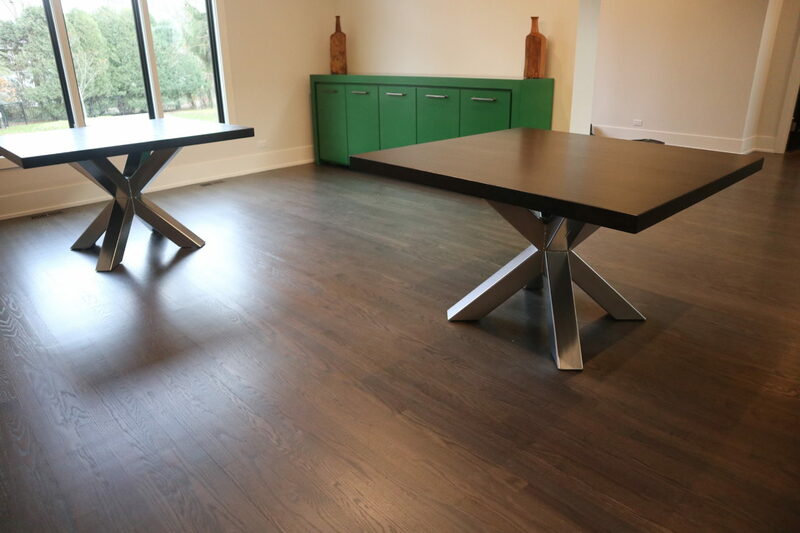 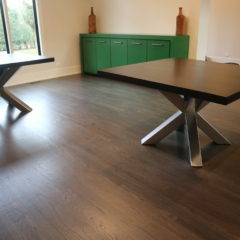 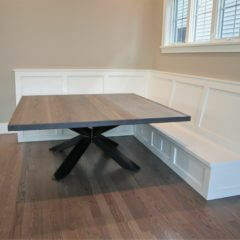 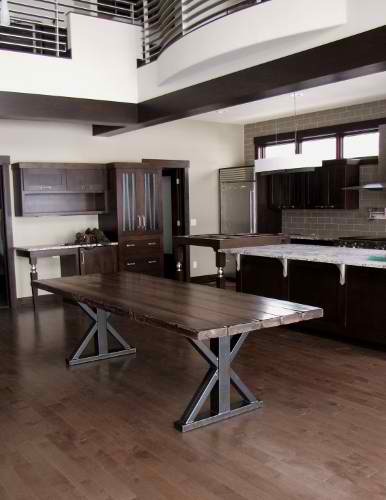 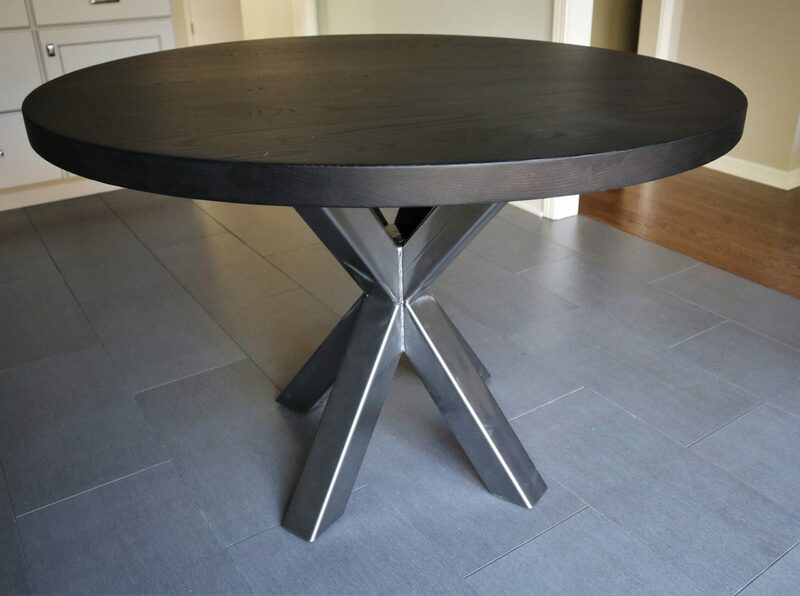 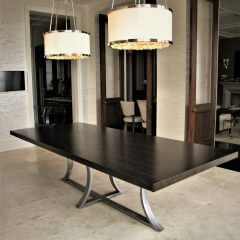 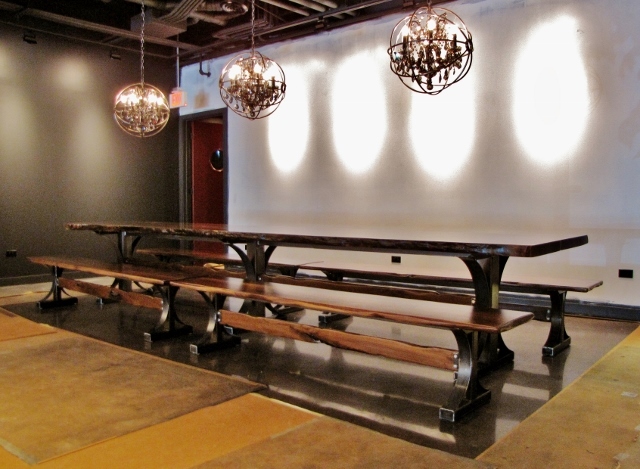 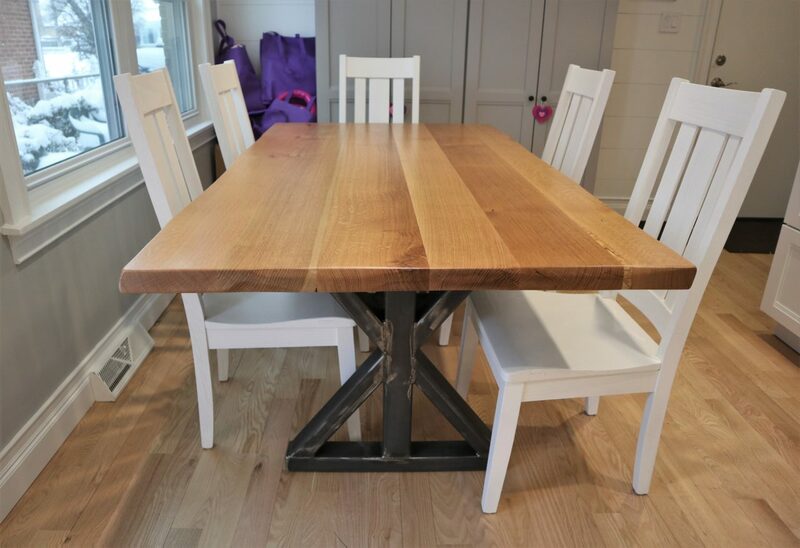 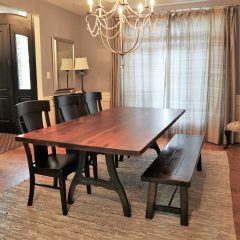 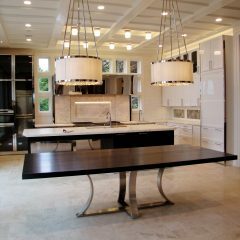 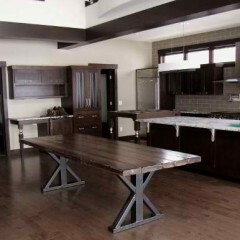 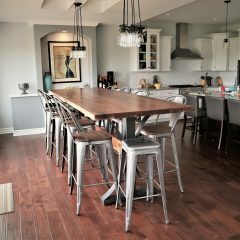 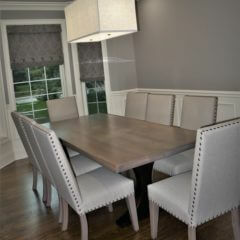 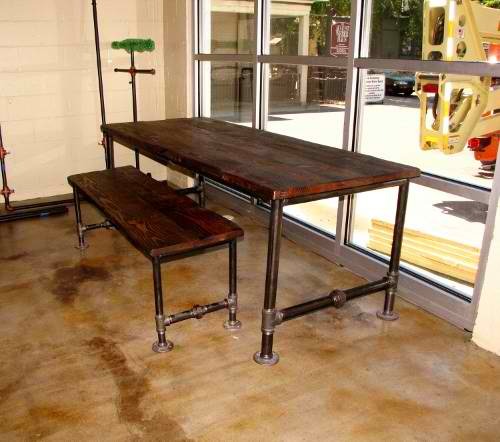 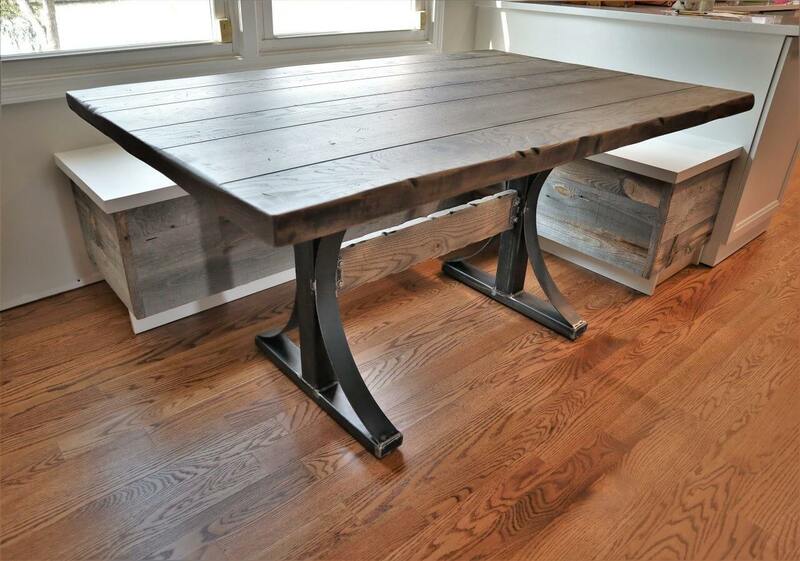 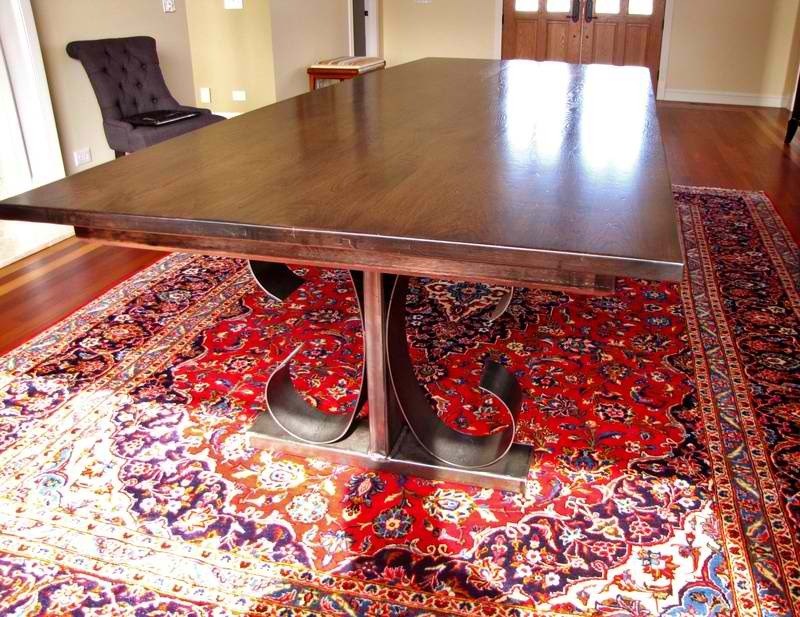 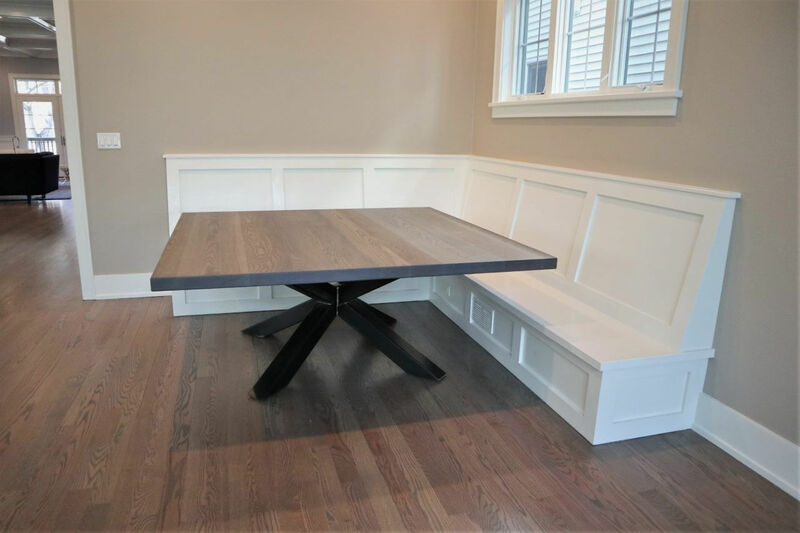 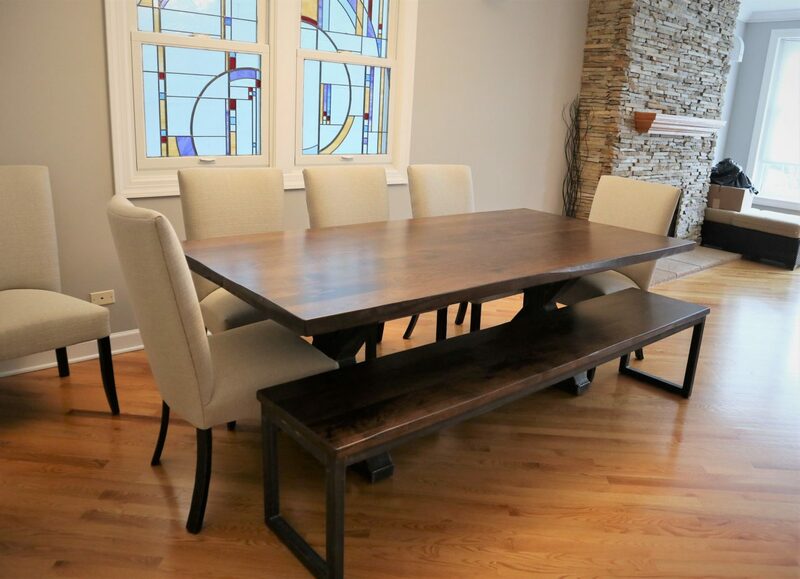 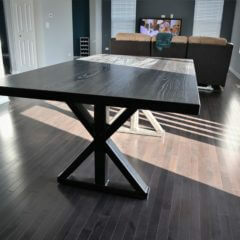 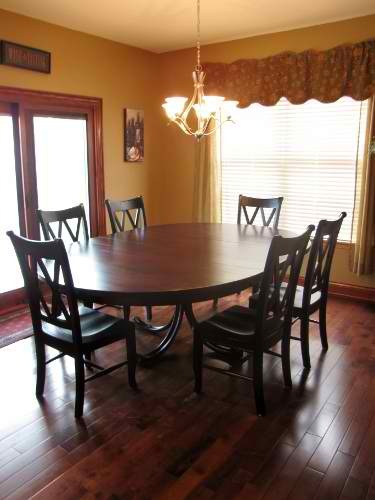 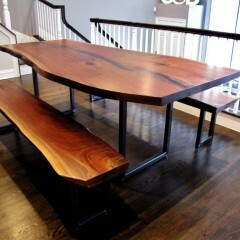 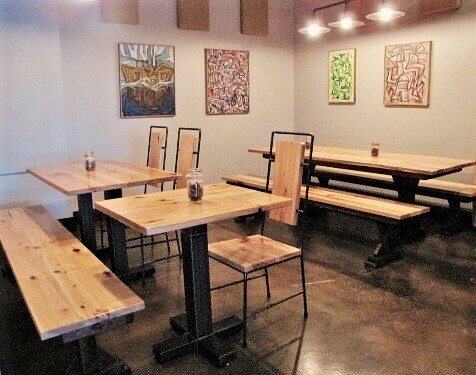 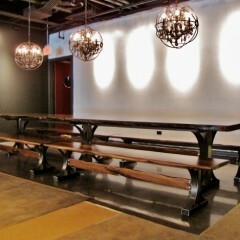 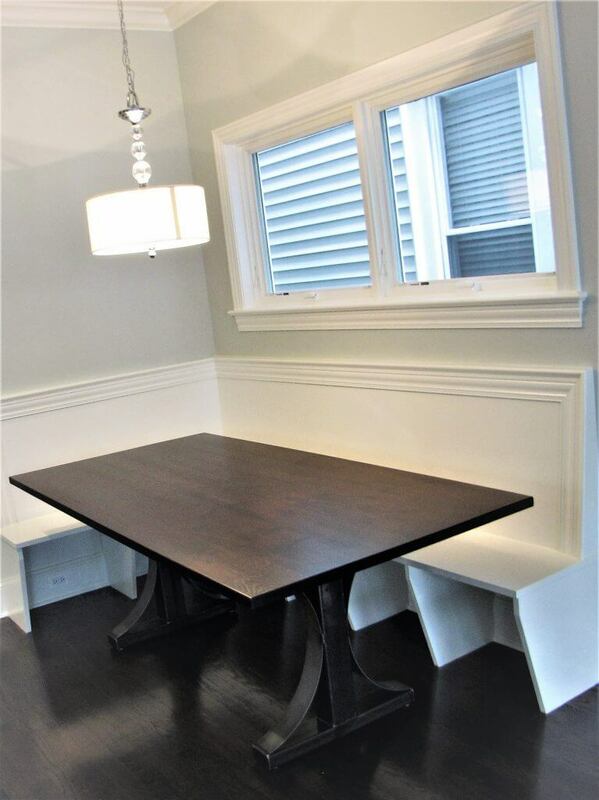 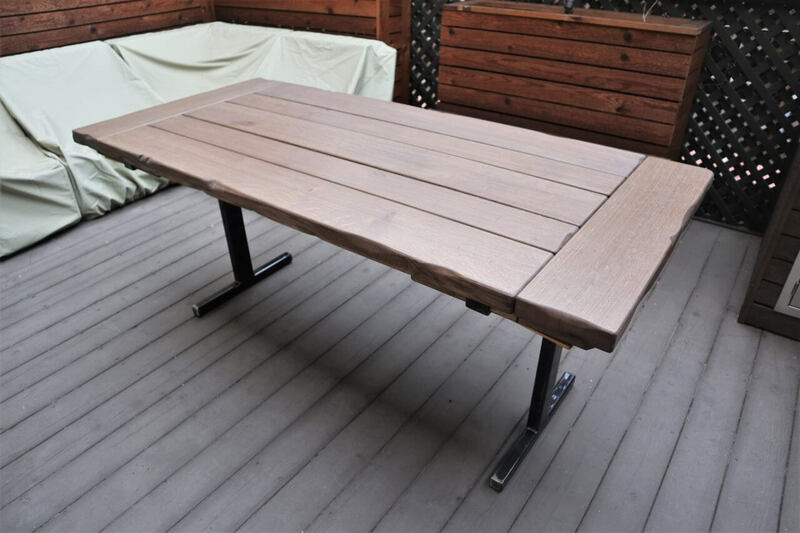 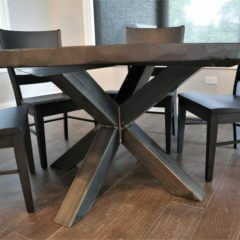 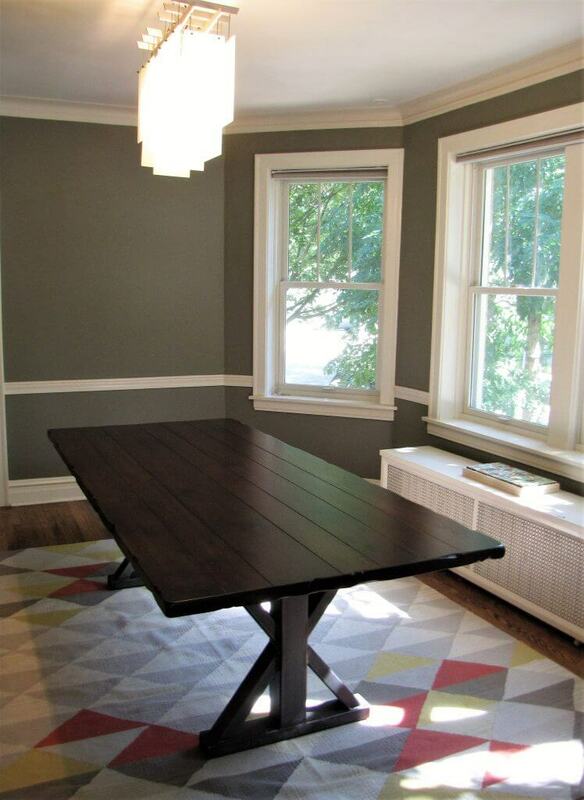 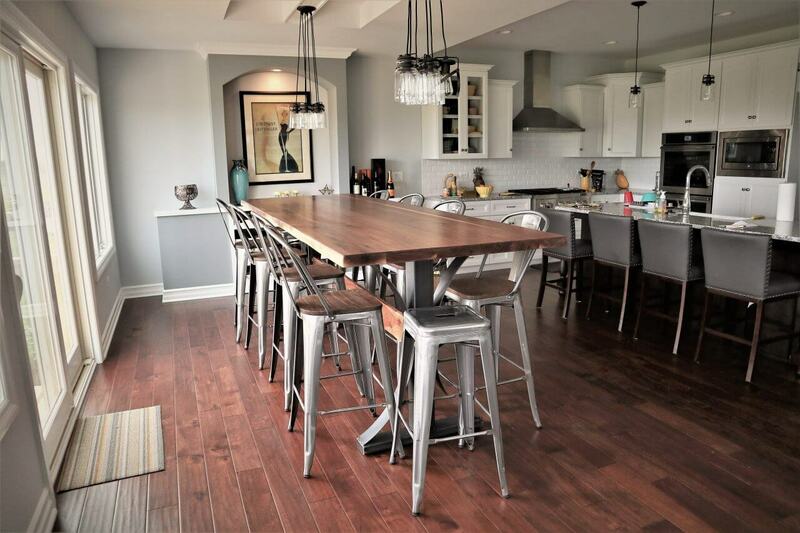 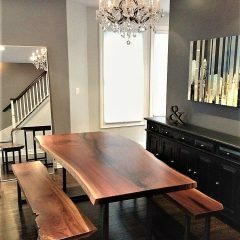 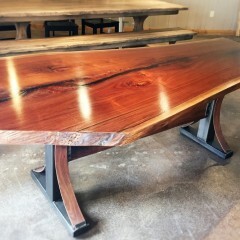 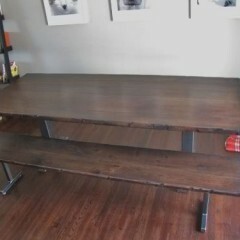 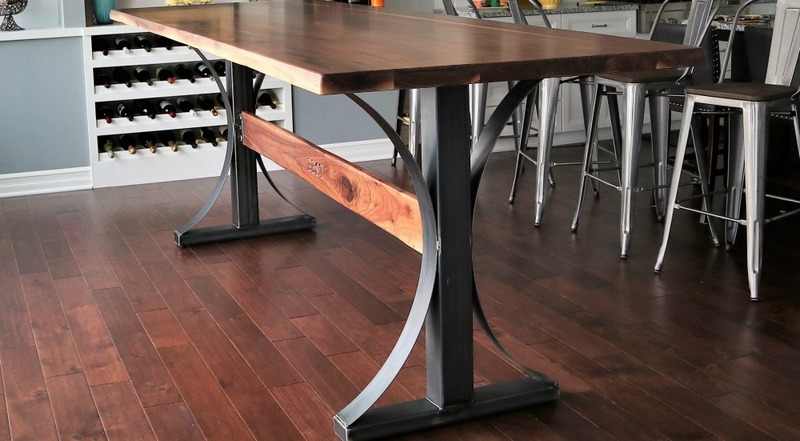 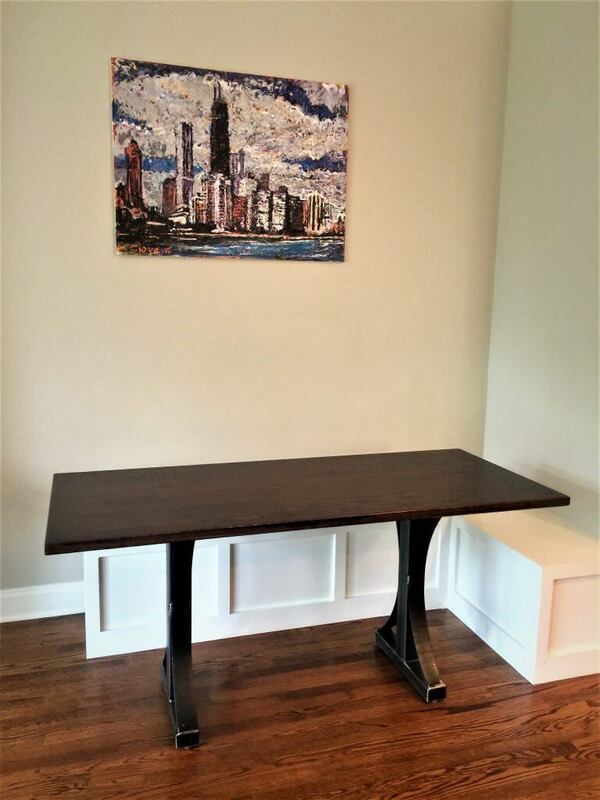 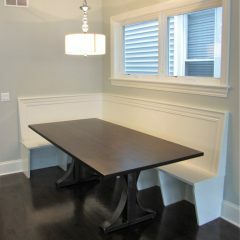 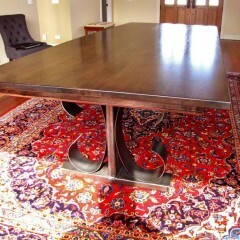 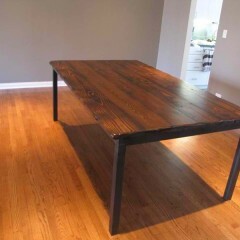 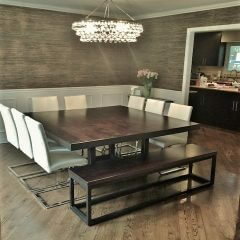 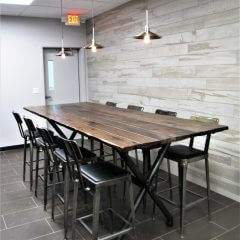 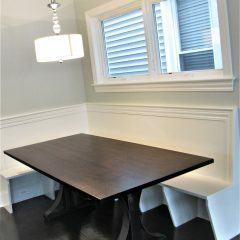 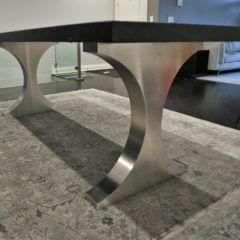 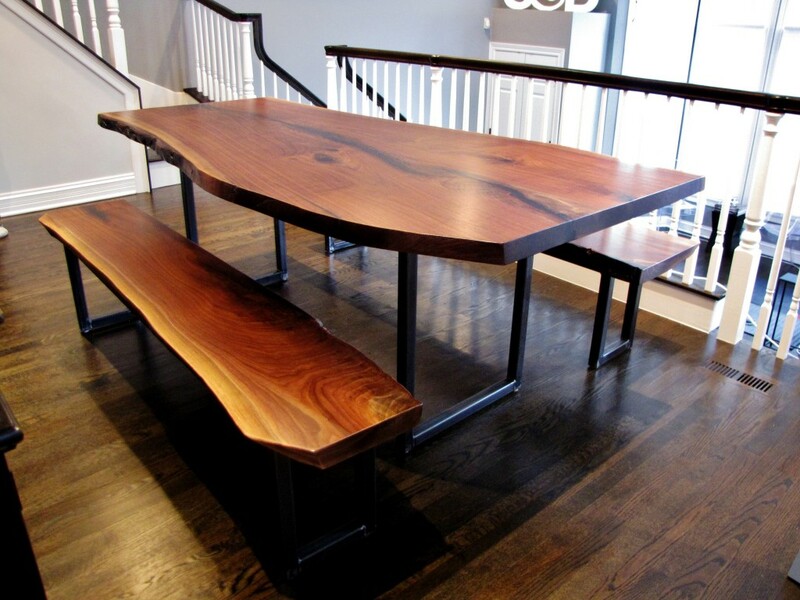 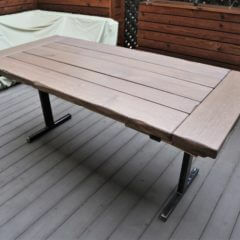 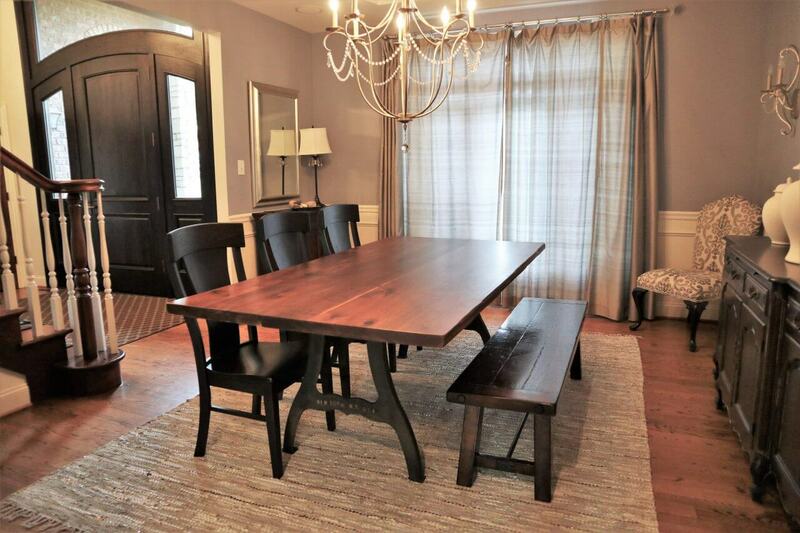 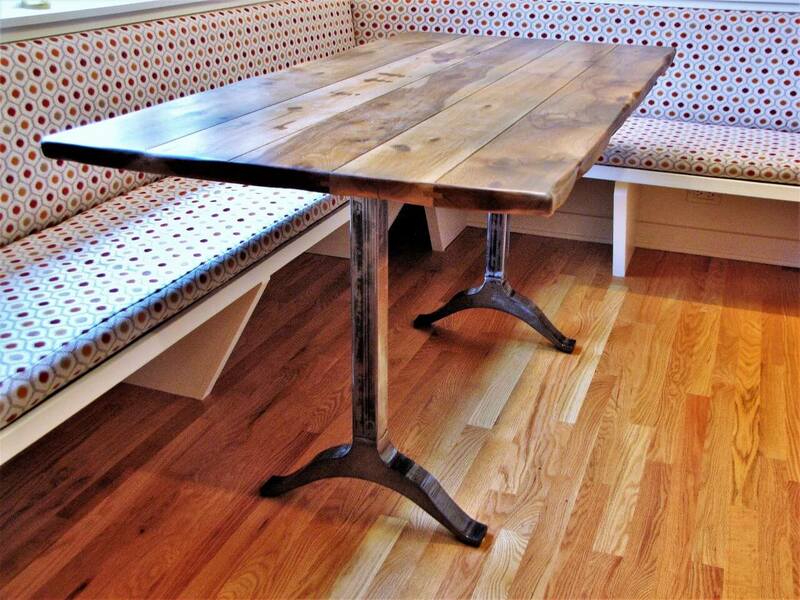 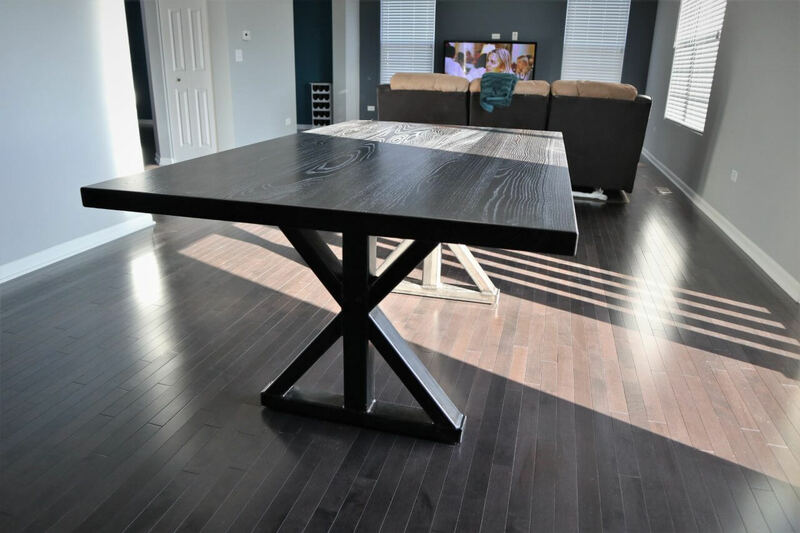 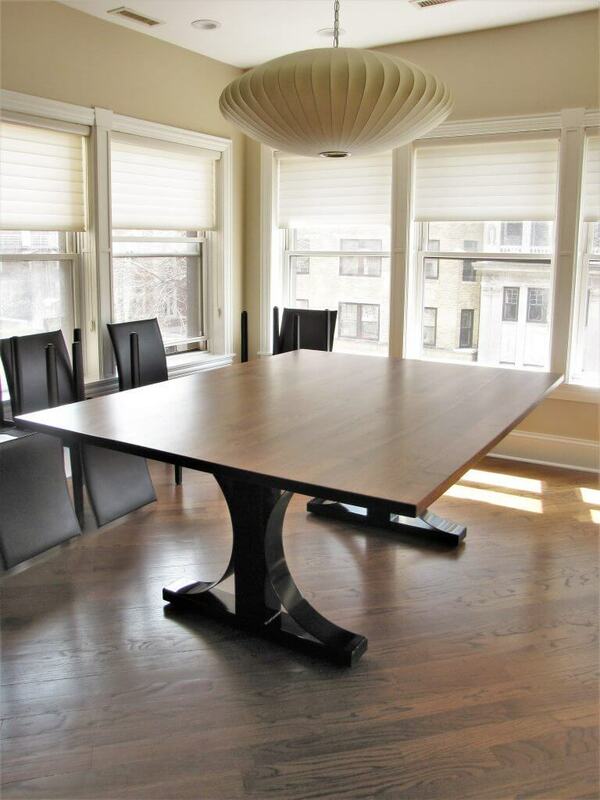 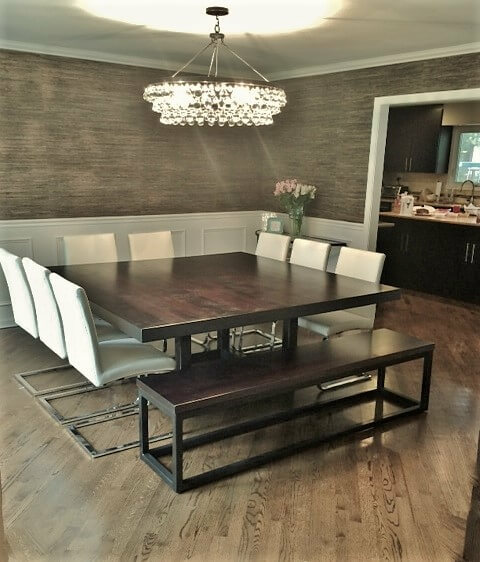 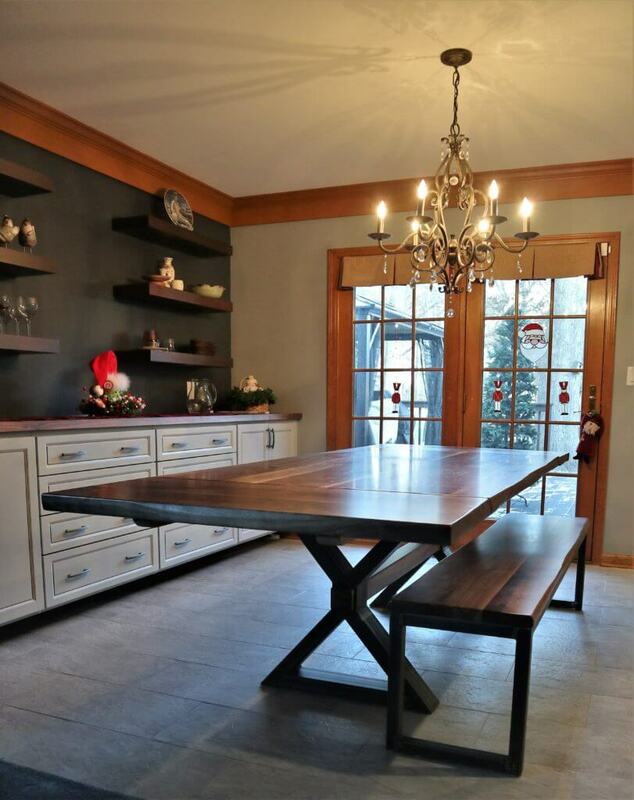 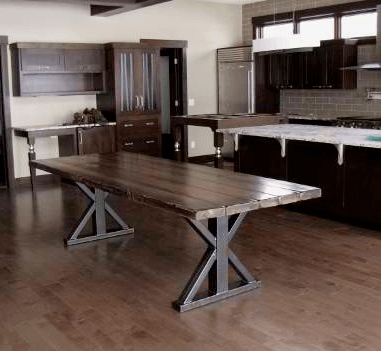 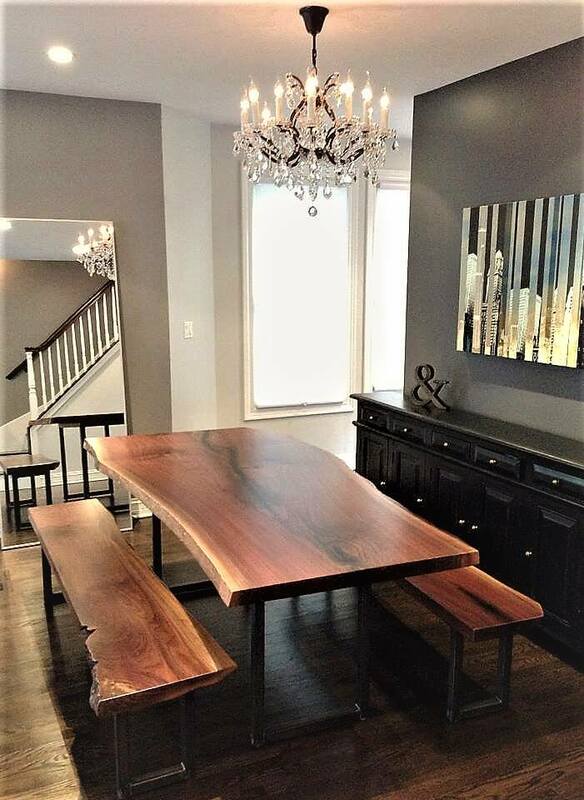 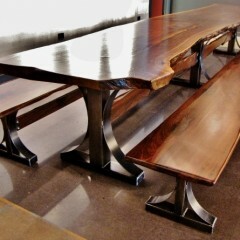 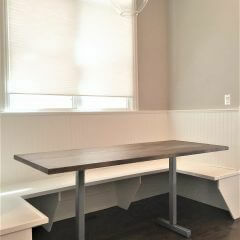 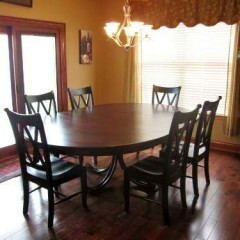 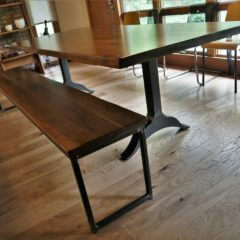 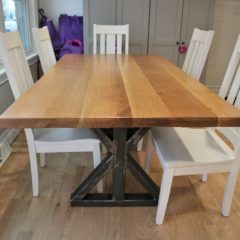 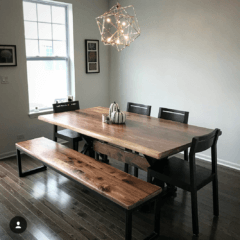 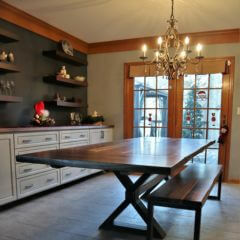 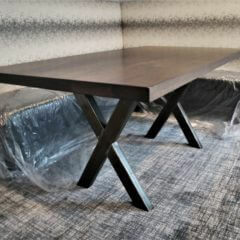 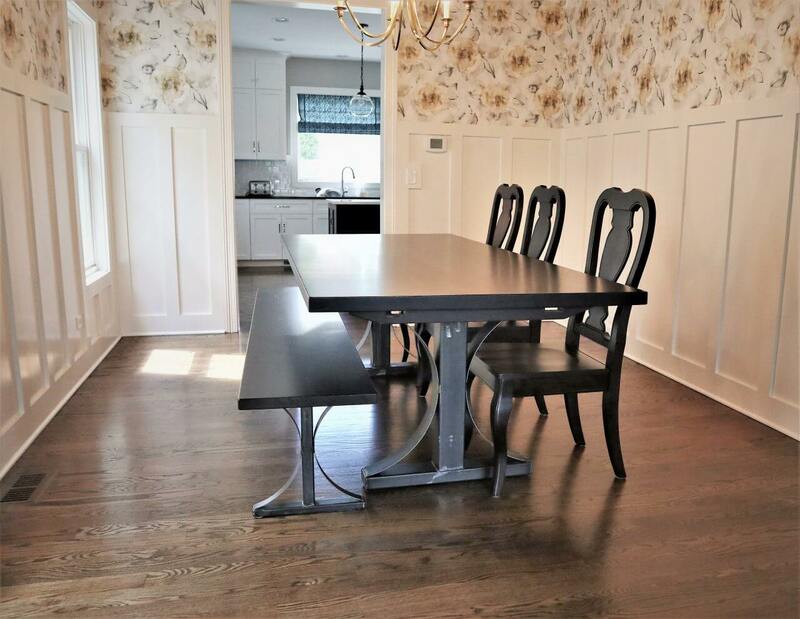 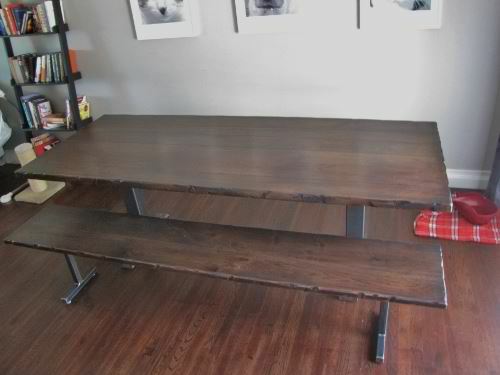 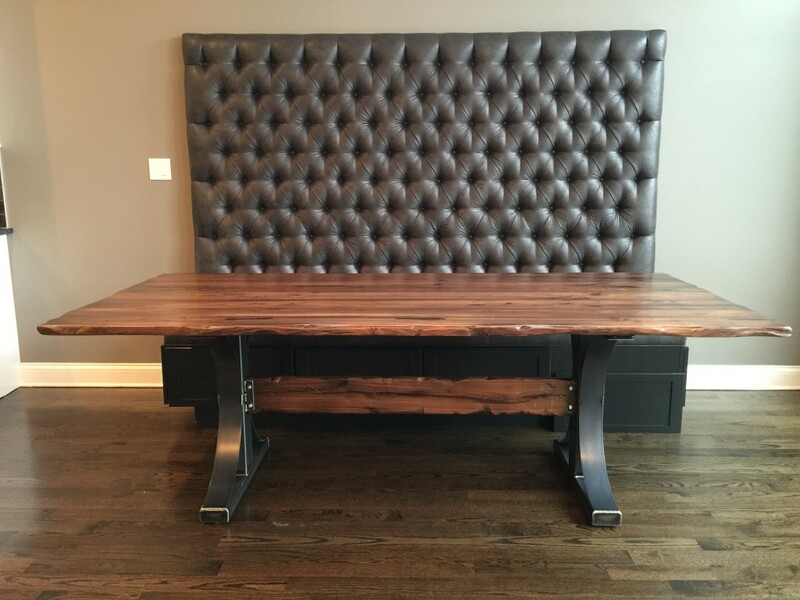 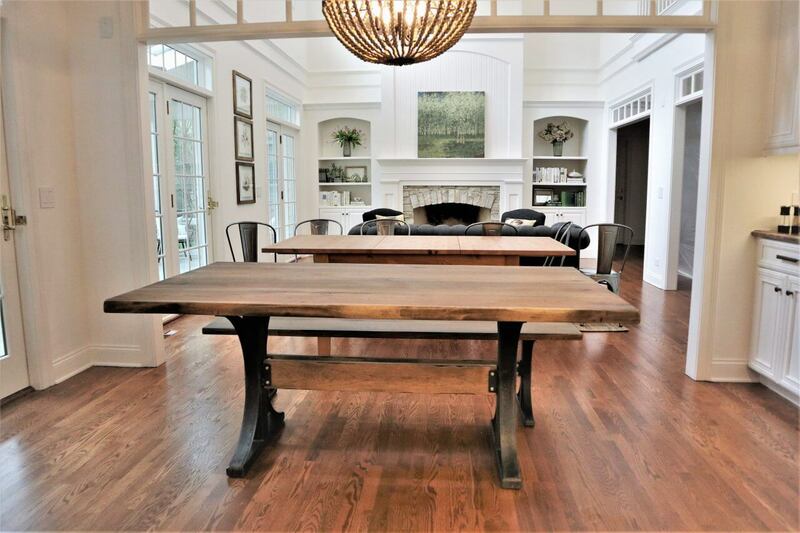 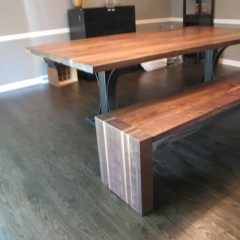 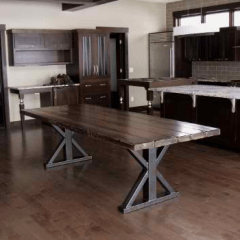 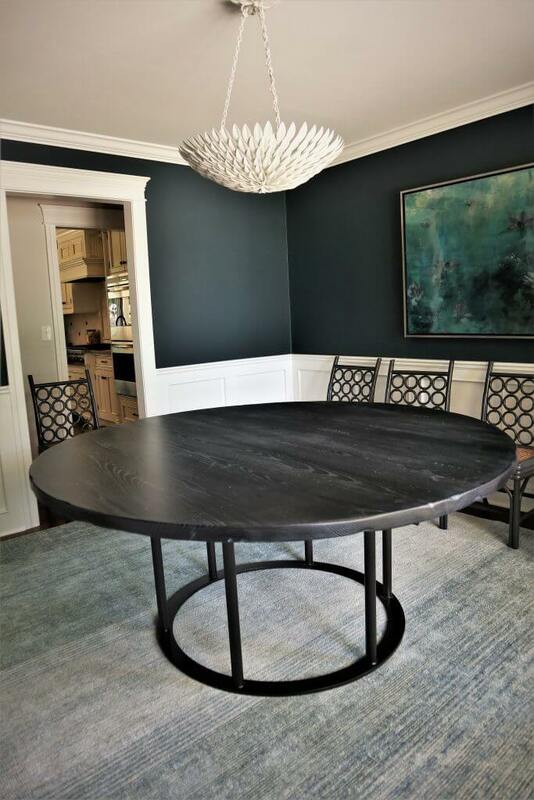 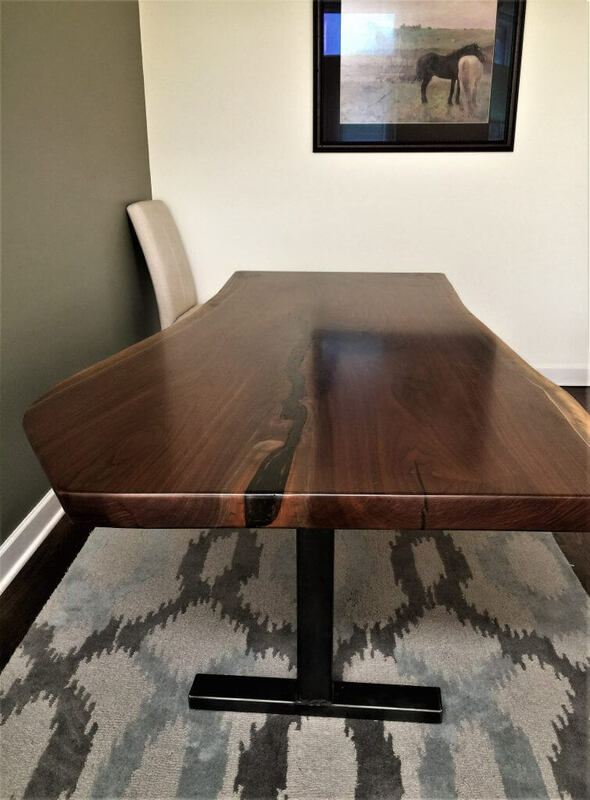 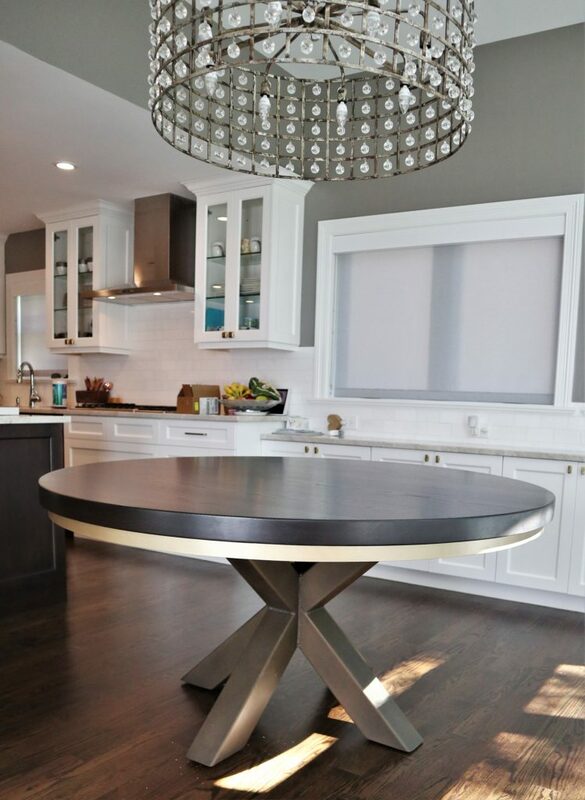 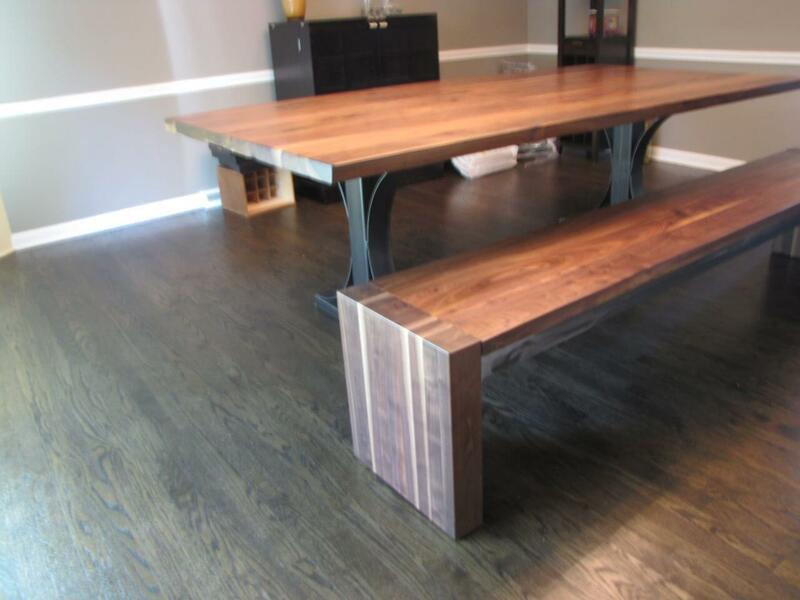 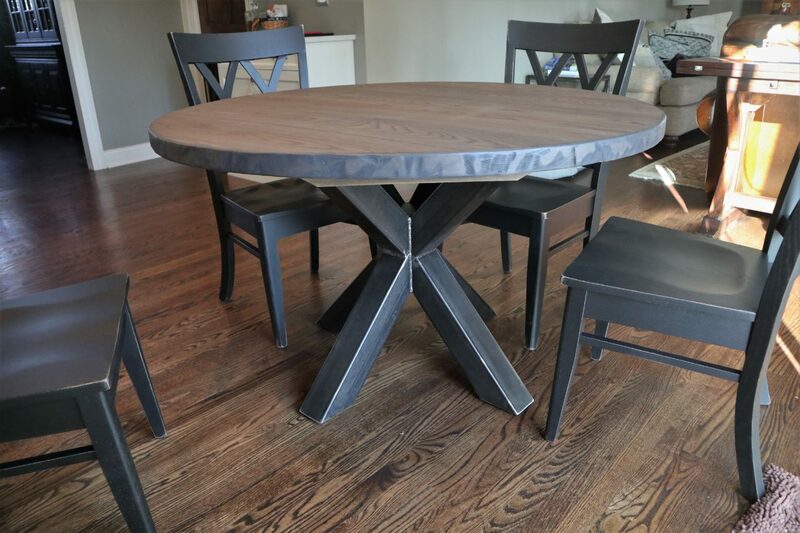 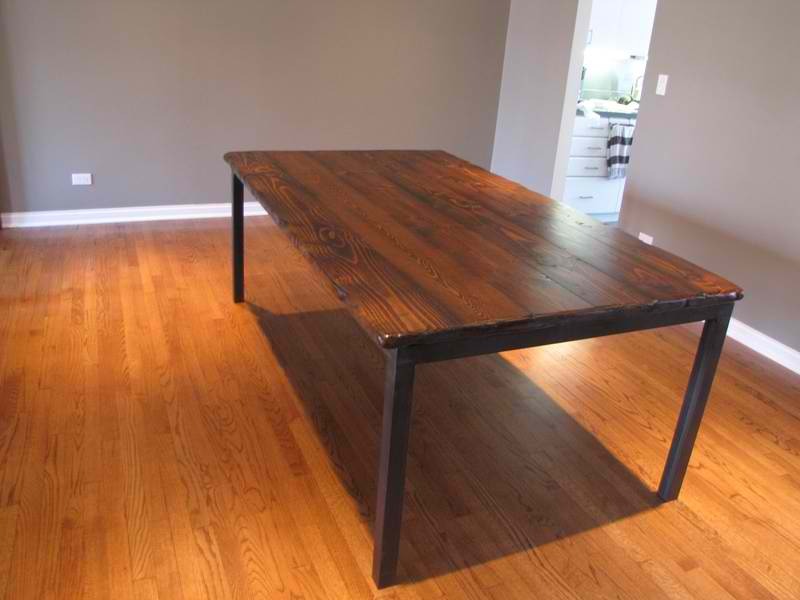 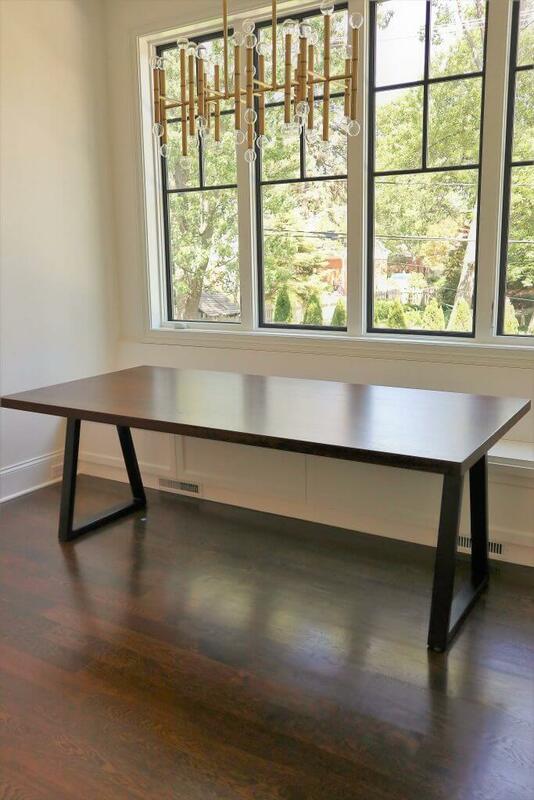 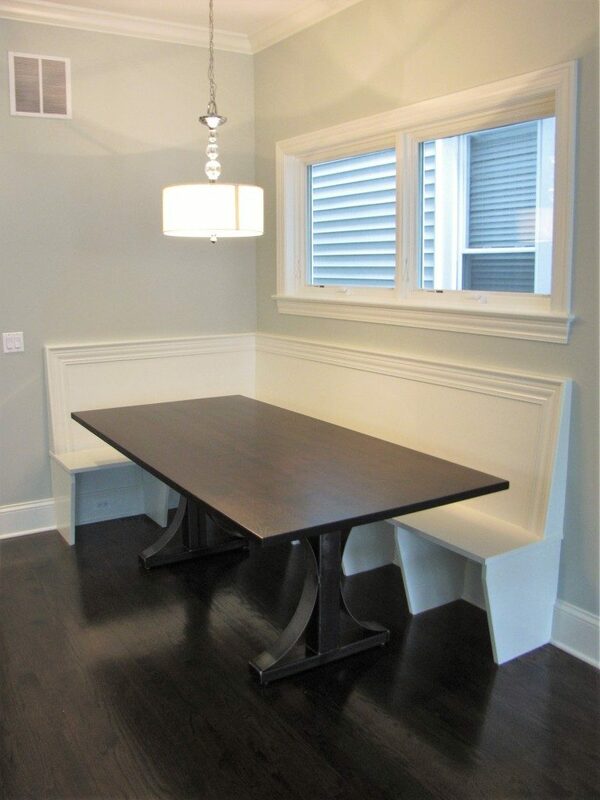 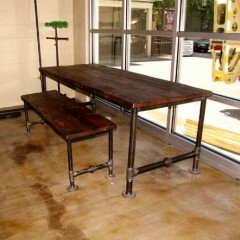 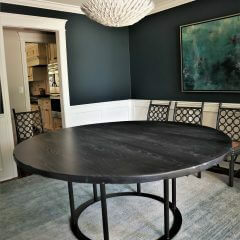 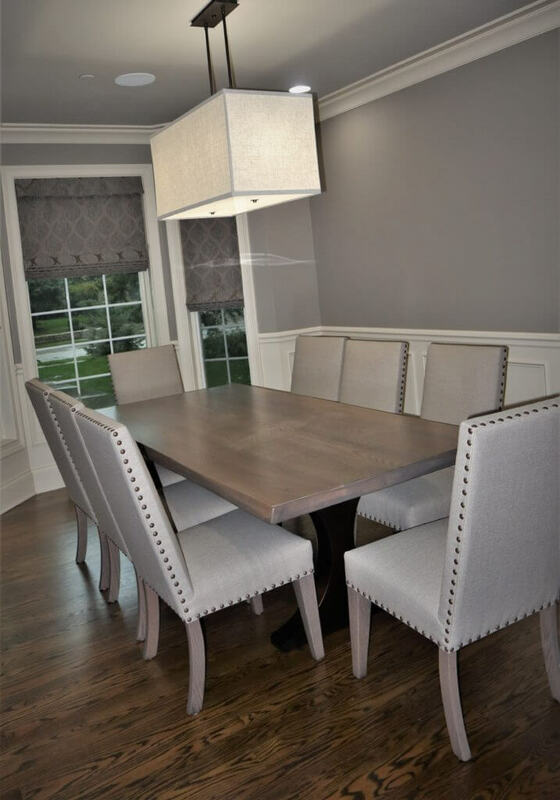 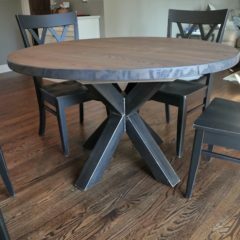 You can choose the wood, finish, and distress for your custom metal base table. 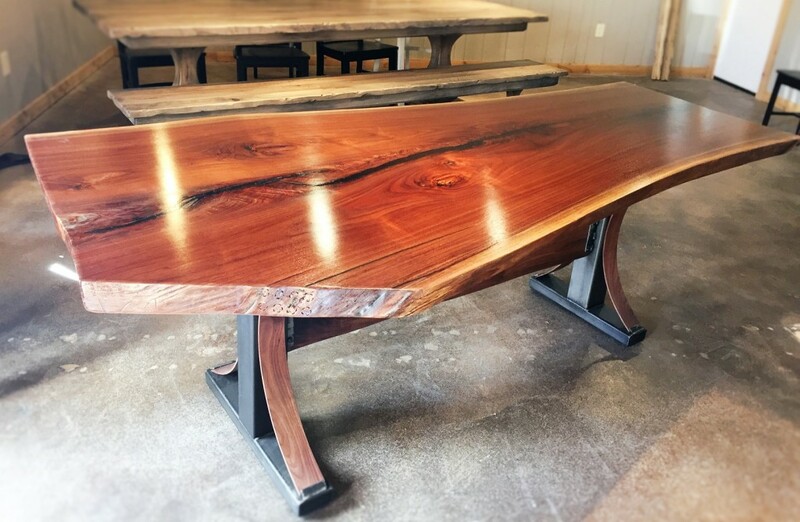 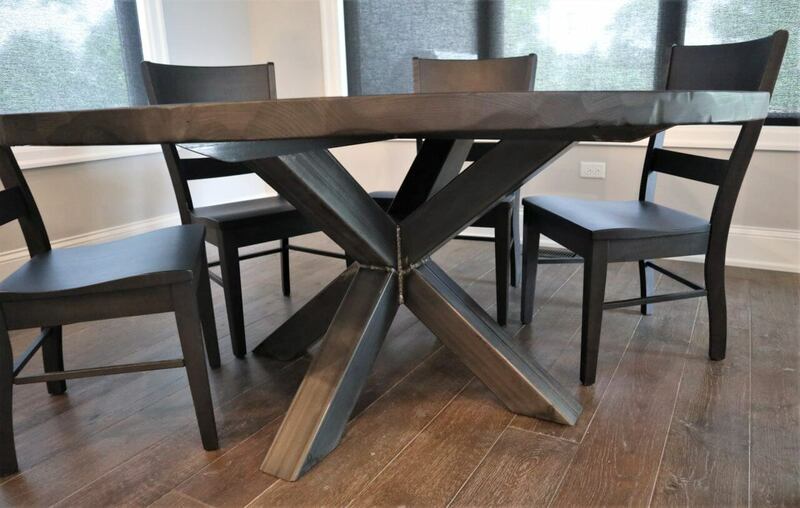 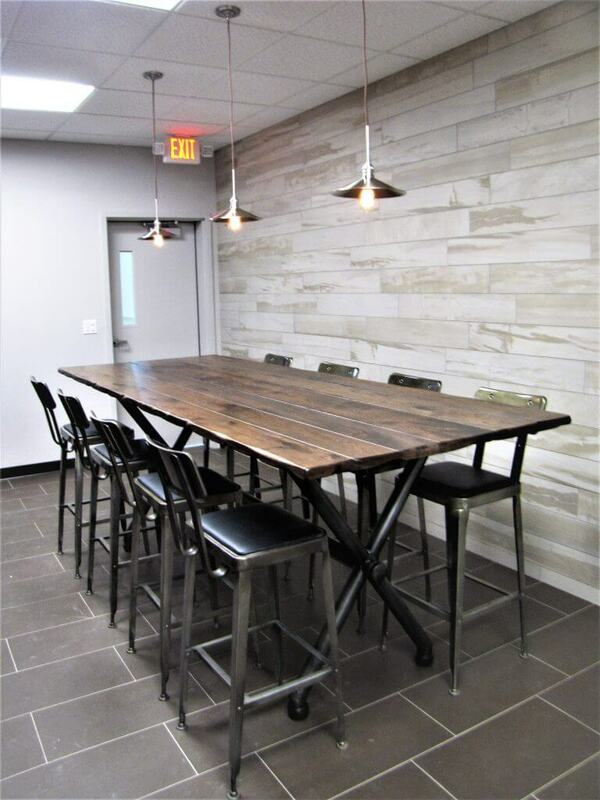 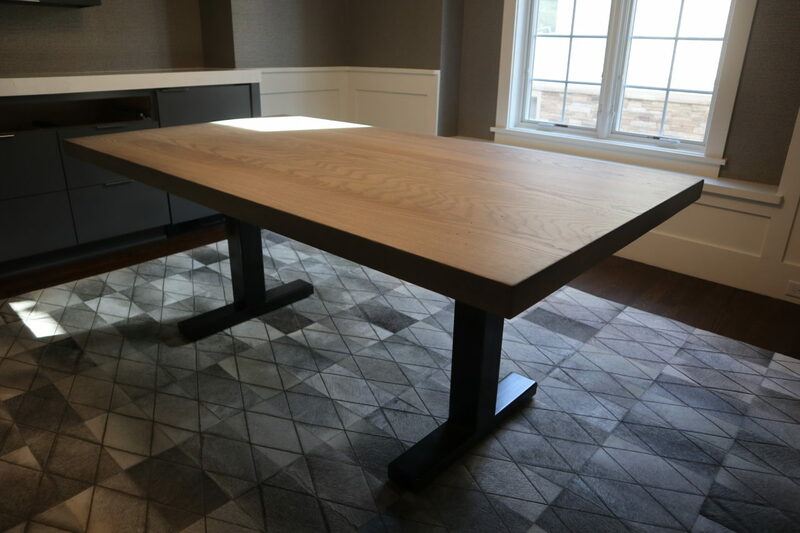 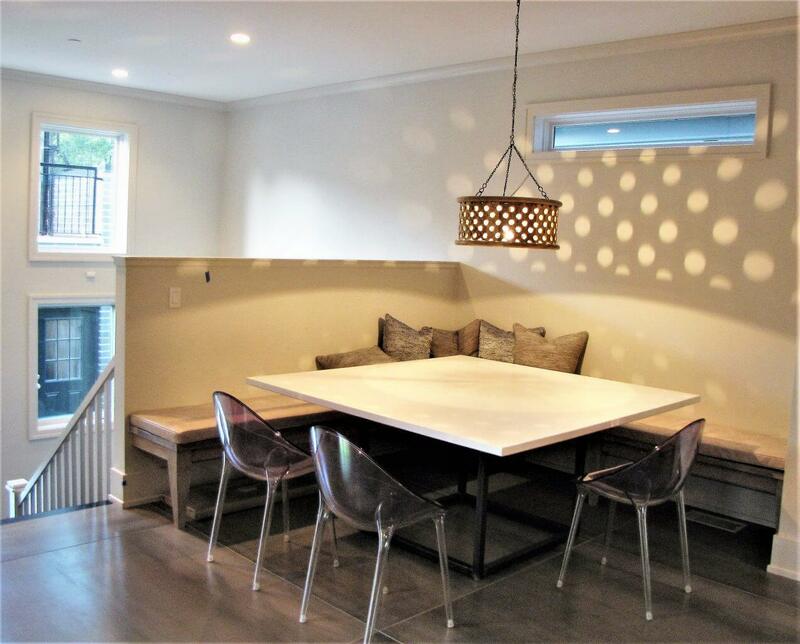 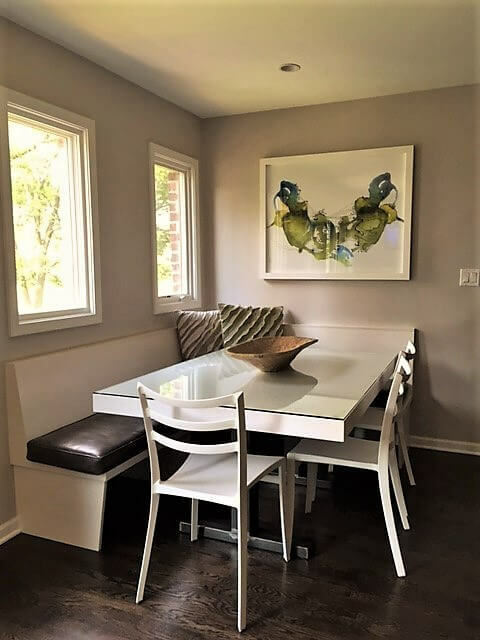 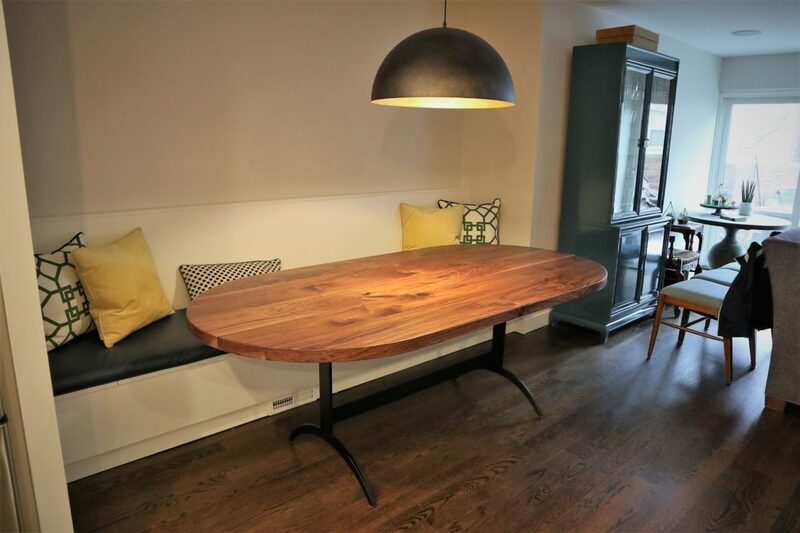 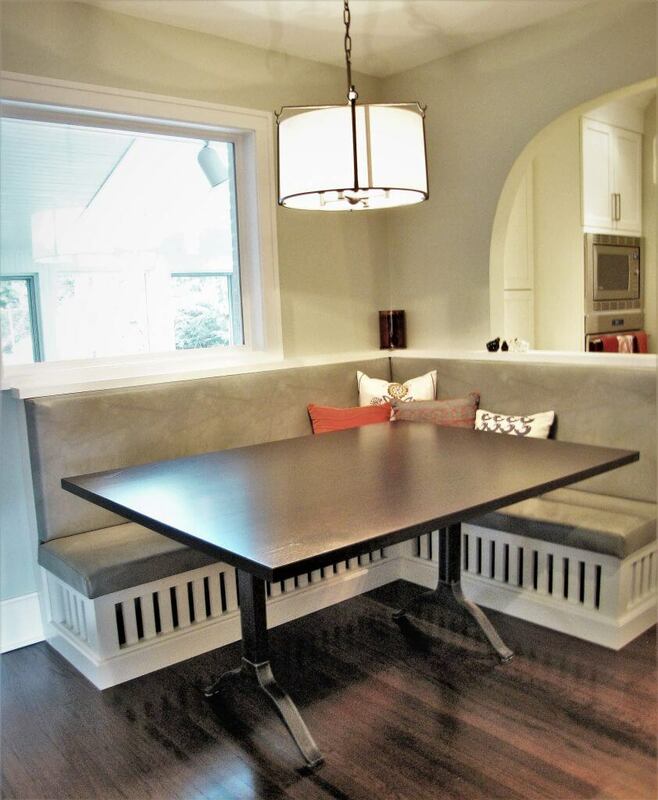 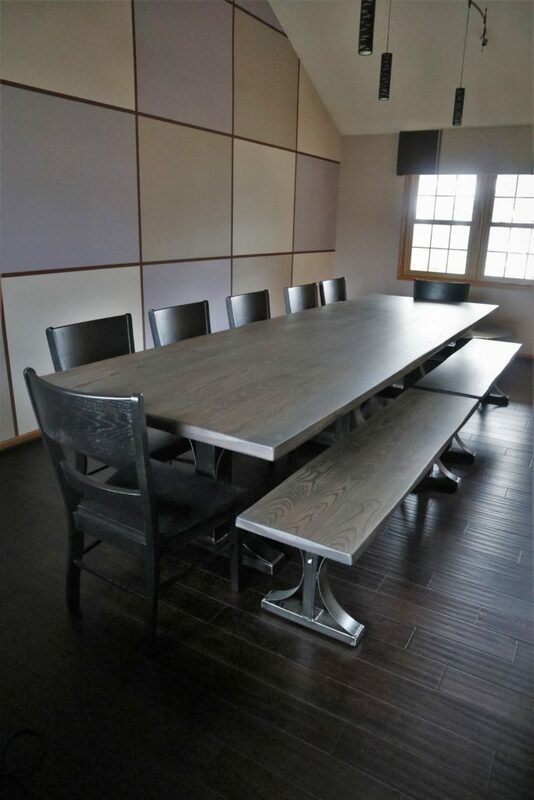 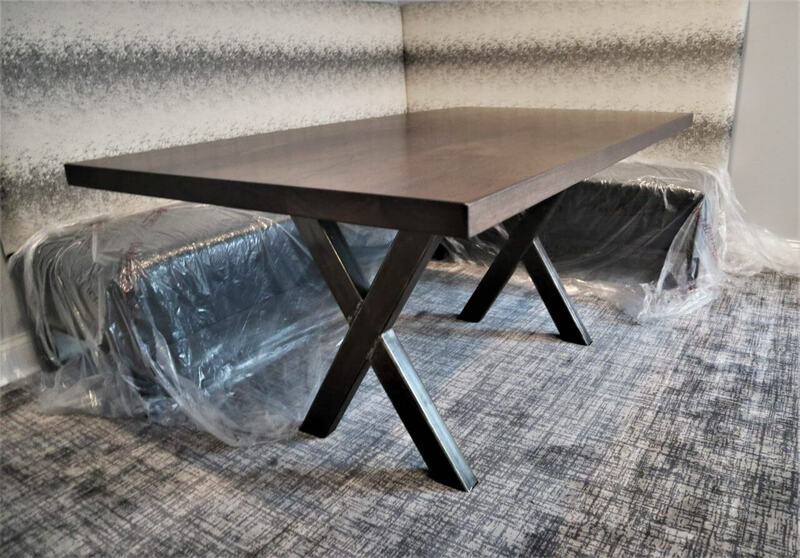 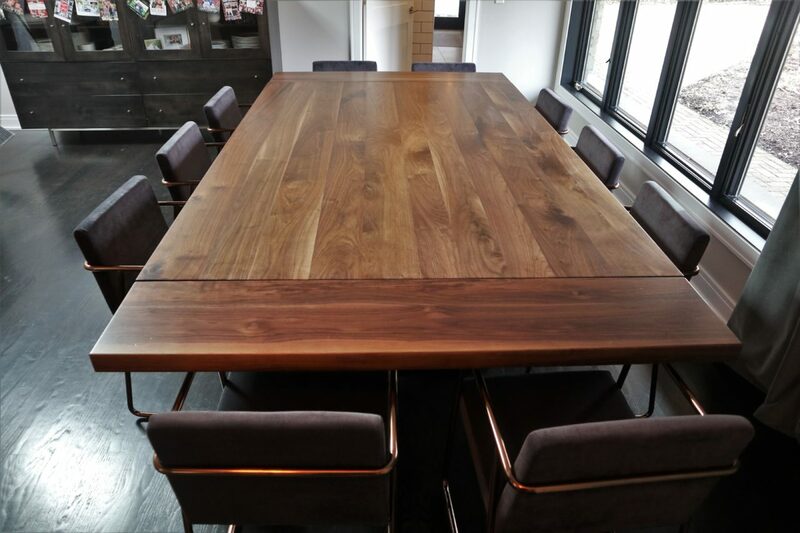 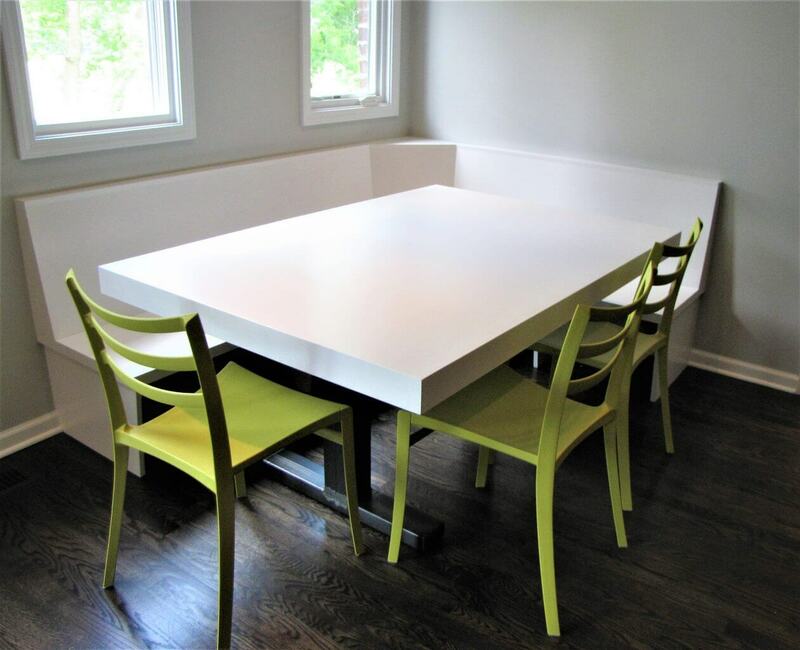 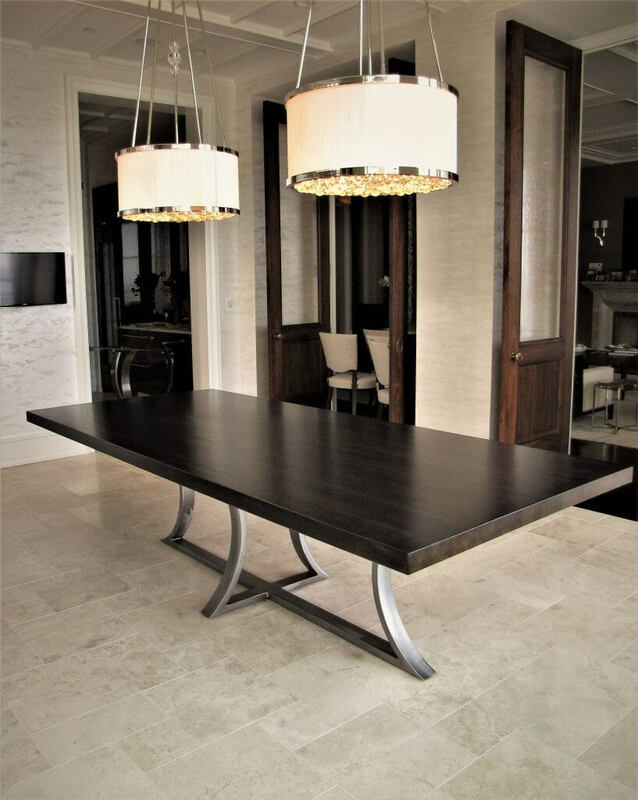 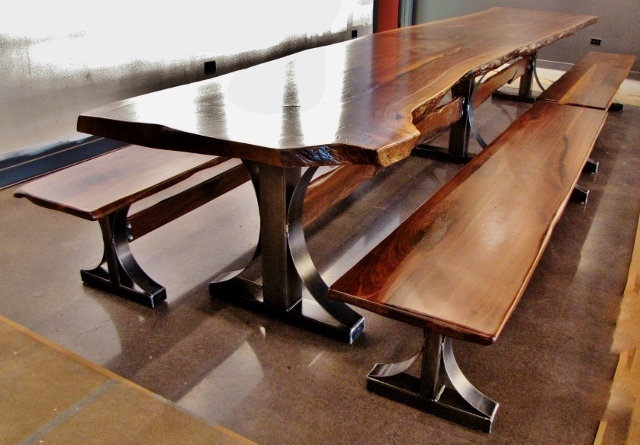 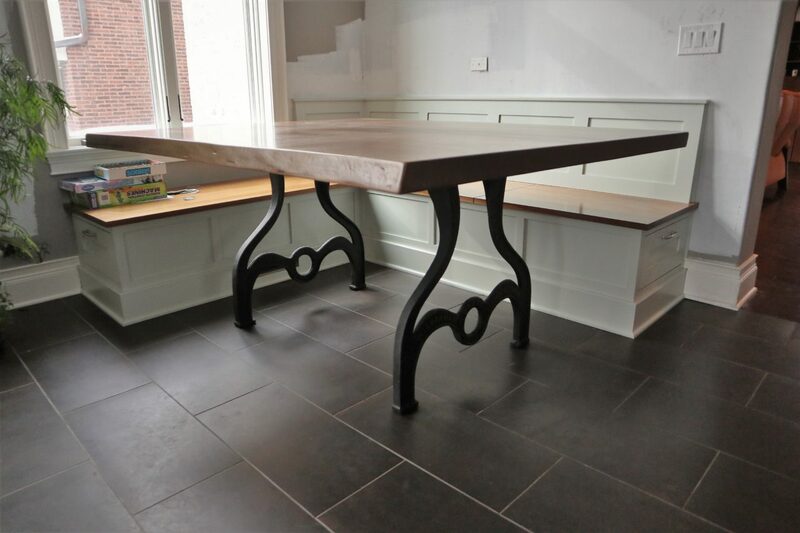 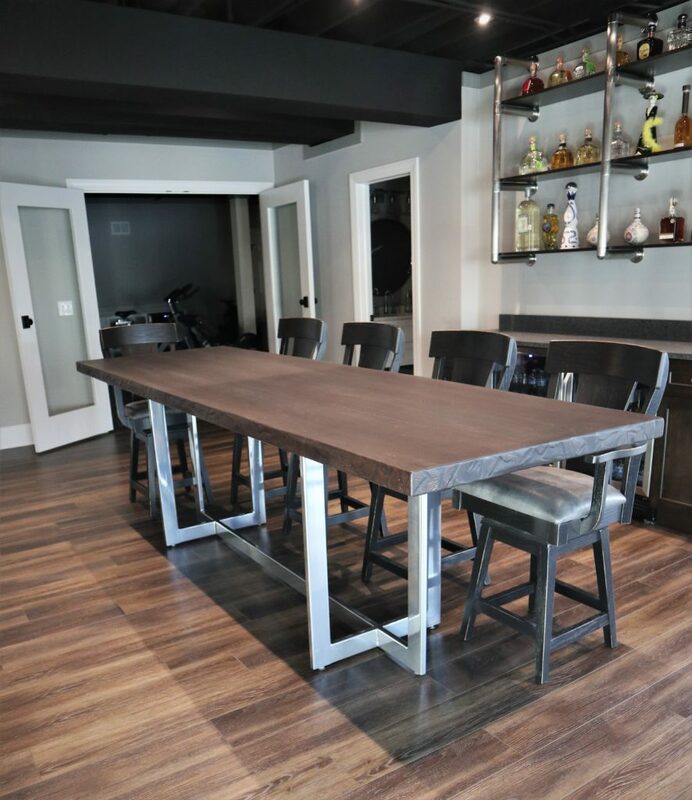 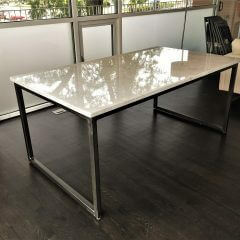 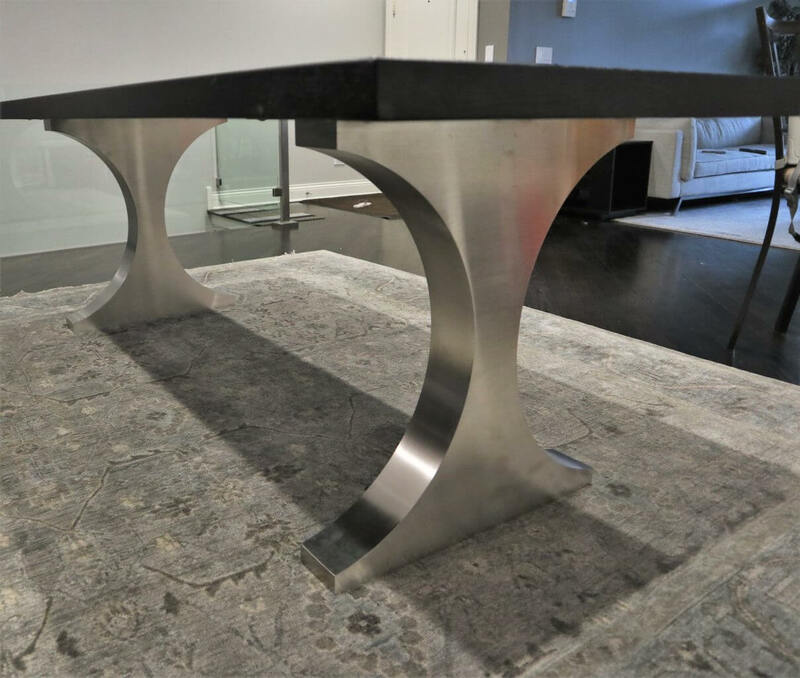 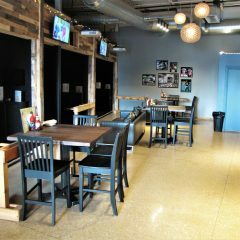 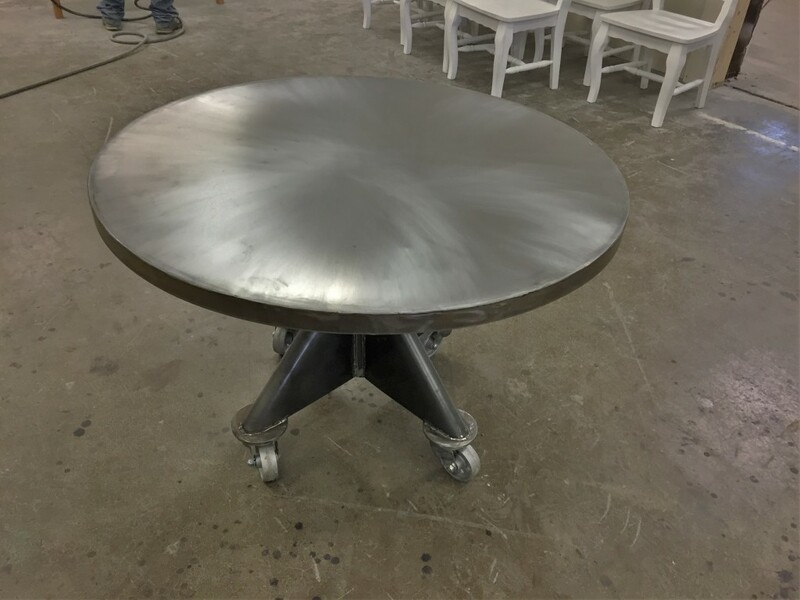 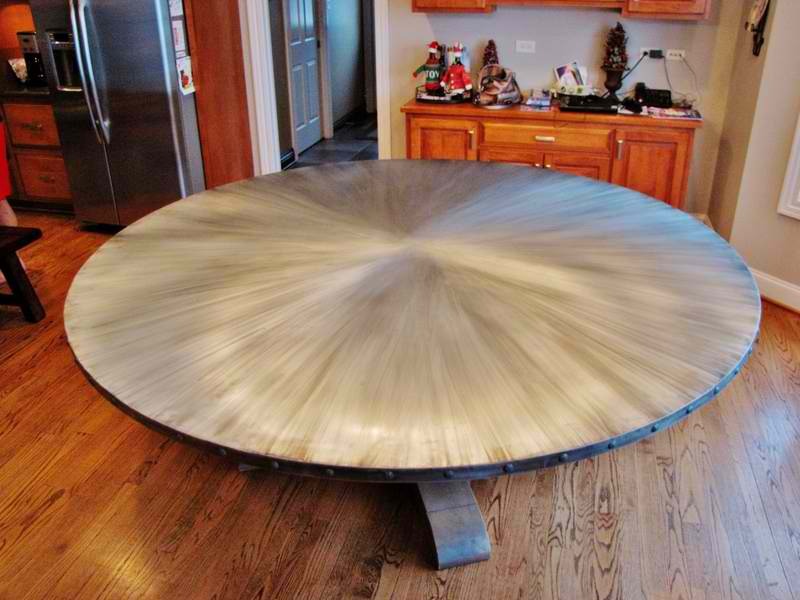 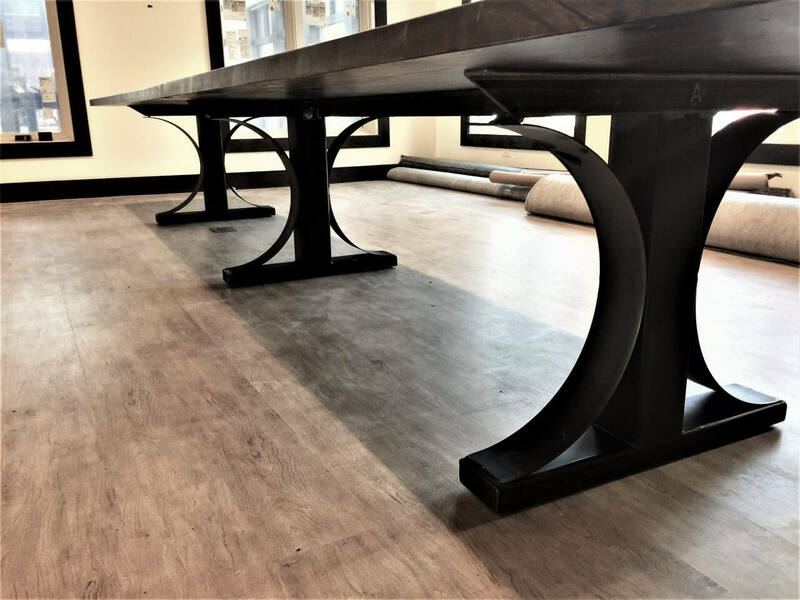 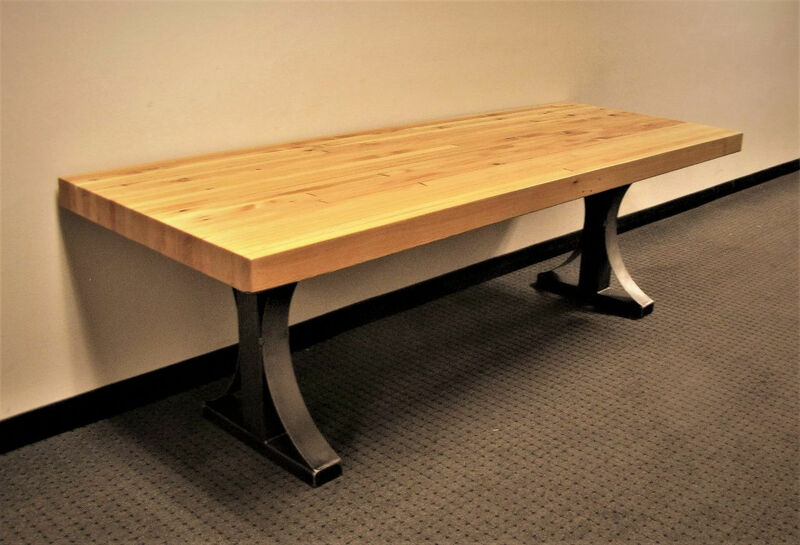 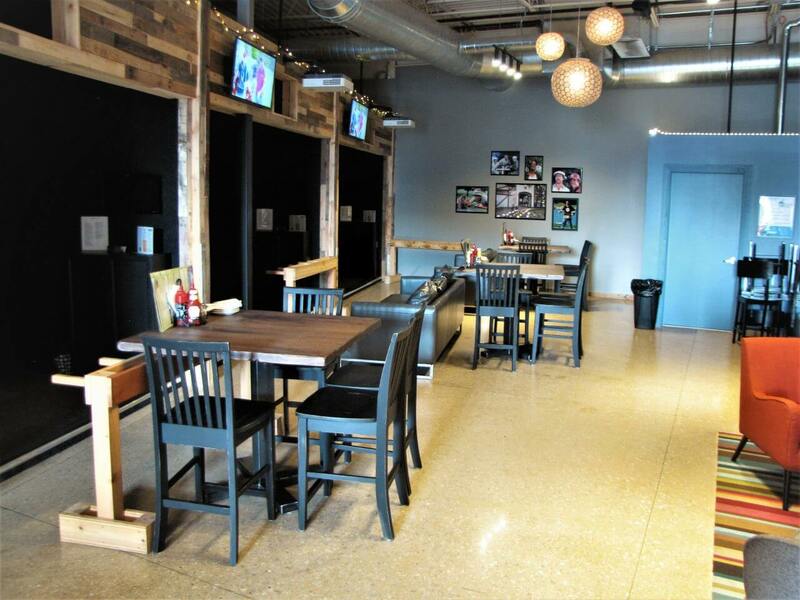 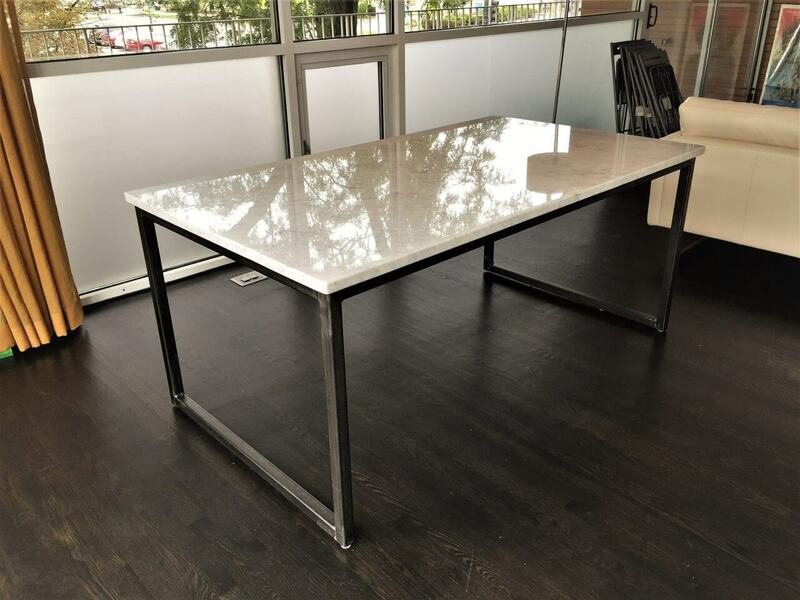 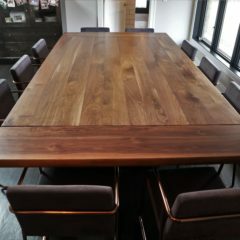 The metals we use for our metal base tables are: structural steel, thick wall metal tubing, tig welded and mig welded, stainless, aluminum, carbon steel, polished, sandblasted, and powdercoat.